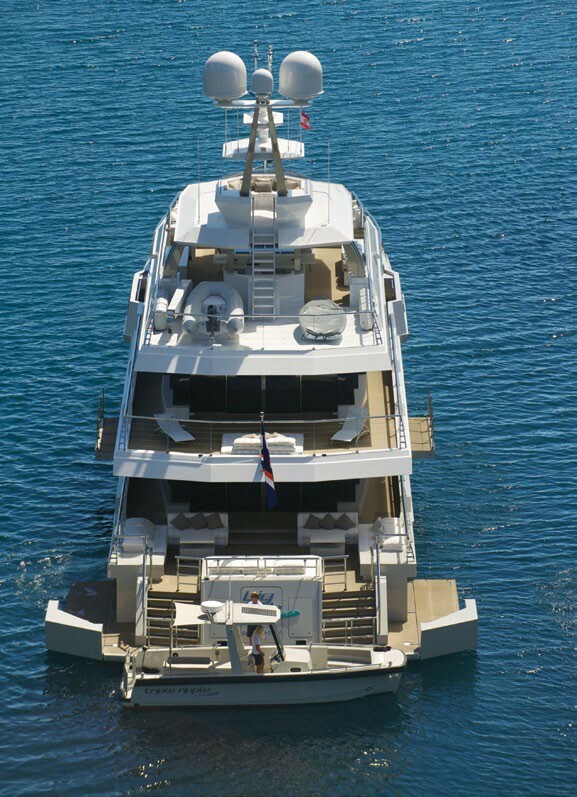 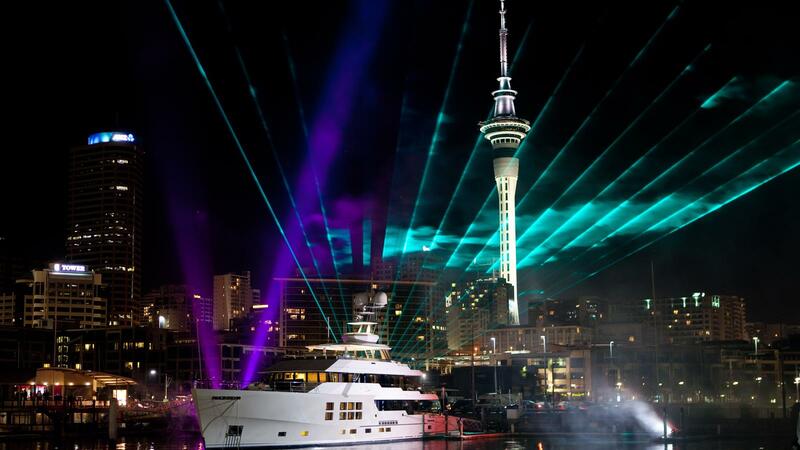 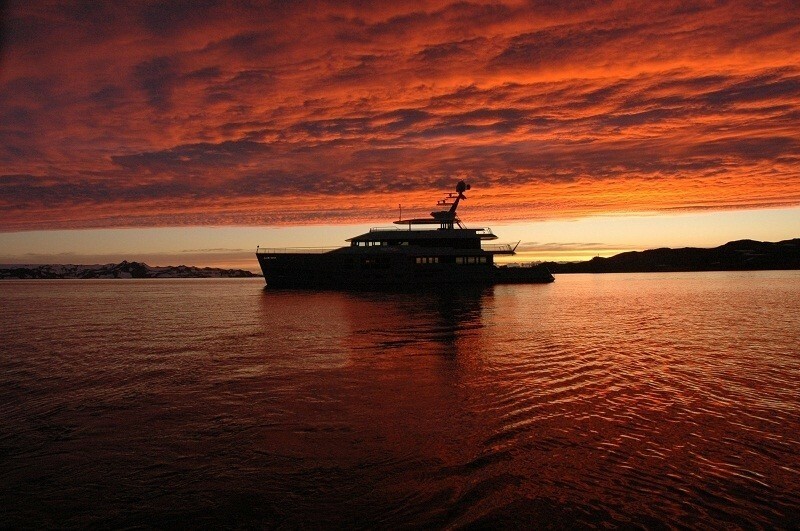 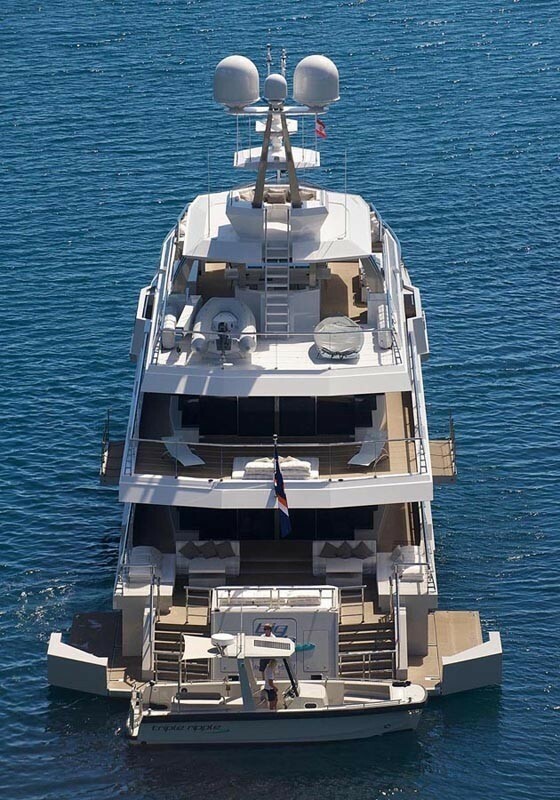 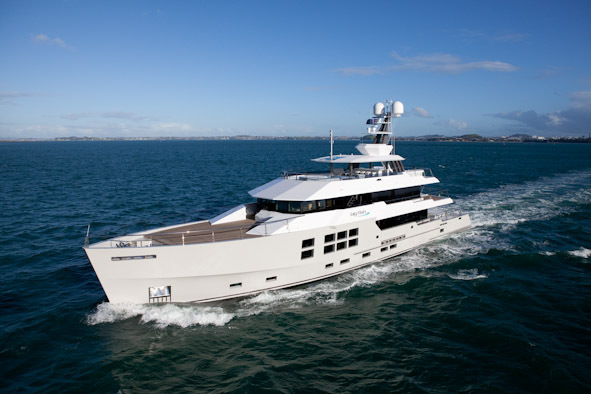 Superyacht BIG FISH is an expedition type steel displacement luxury motor yacht 45m (147' 7") in length which was designed by Greg Marshall Design and launched by McMullen & Wing New Zealand in 2010. 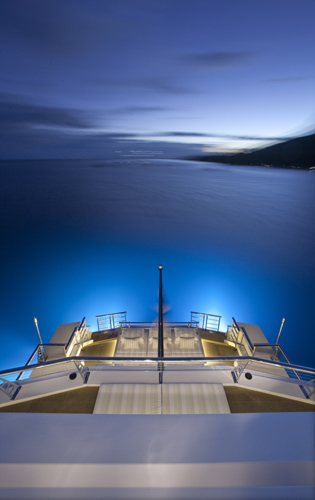 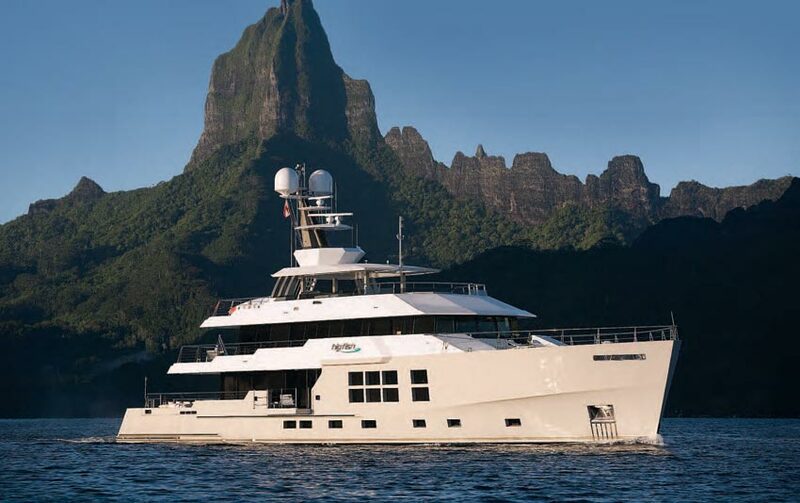 Powerfully styled, expedition motor yacht BIG FISH is a fantastic example of modern blue water stable, functional and comfortable exploration superyacht design and build. 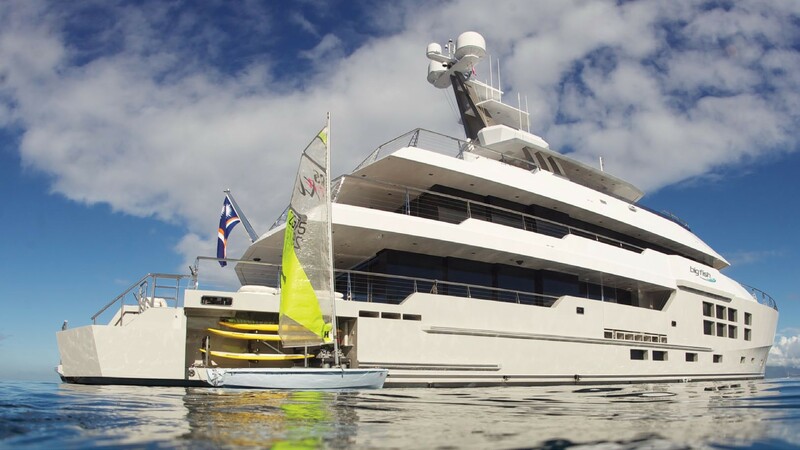 Filled with peripheral equipment and water toys the yacht also has a 28 ft customised McMullen & Wing tender onboard which has a 300 mile range. 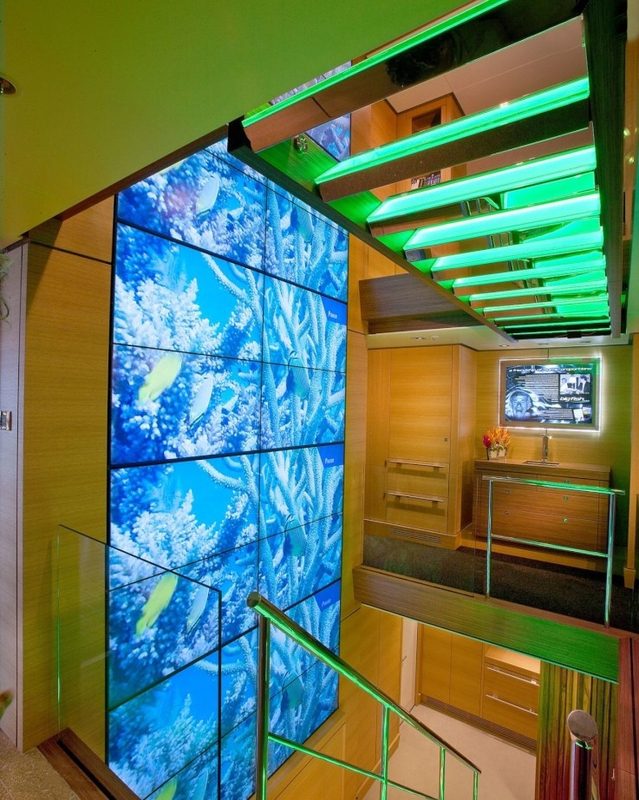 BIG FISH also has a comprehensive electronic equipment list, including an audio video system which was supplied and installed by Audio Video Concepts and Design. 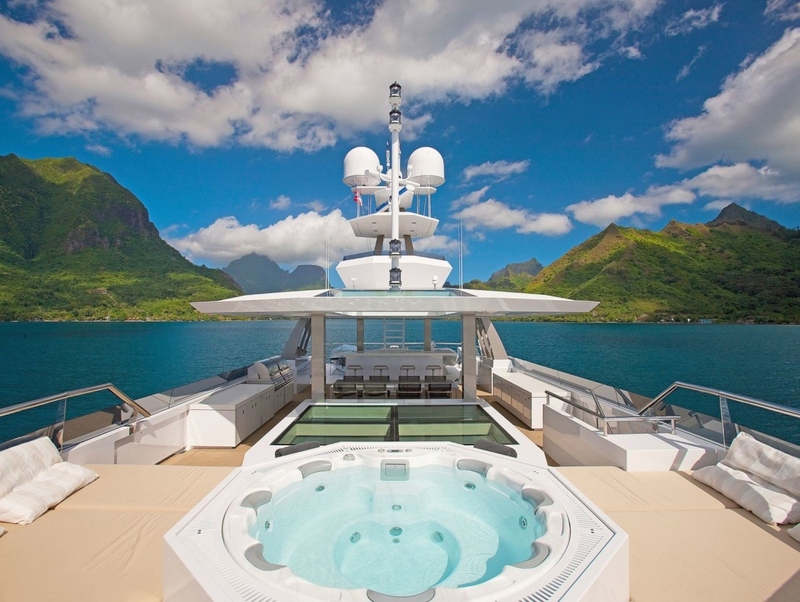 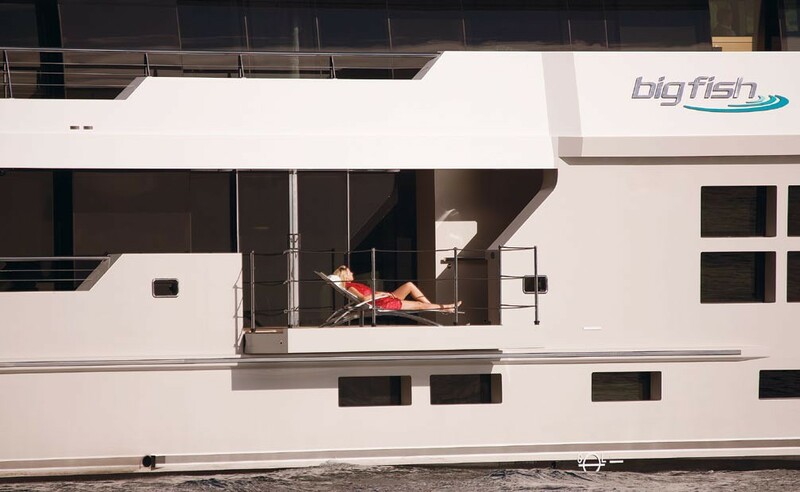 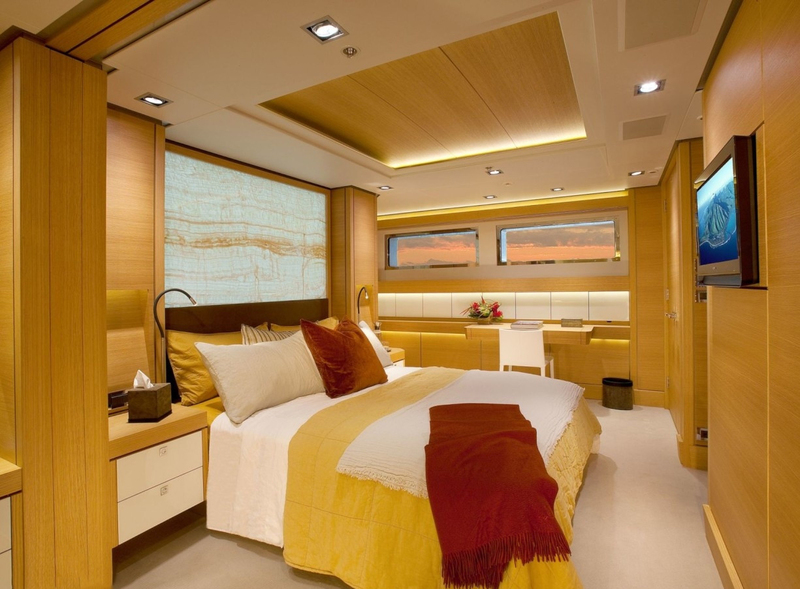 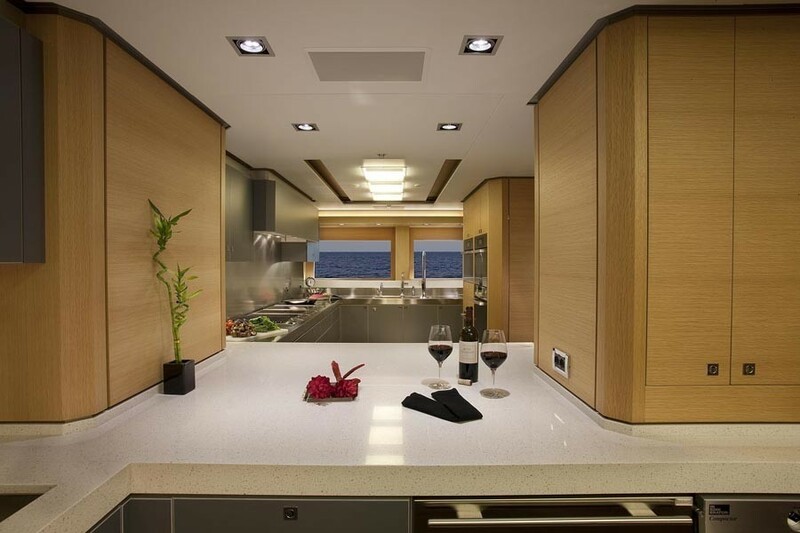 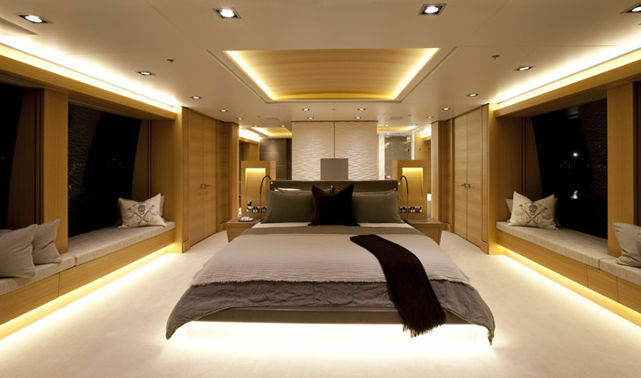 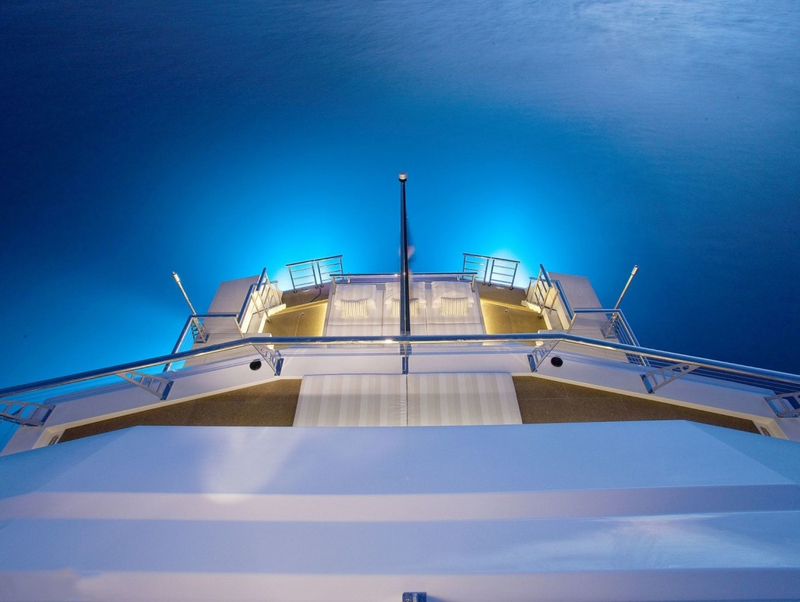 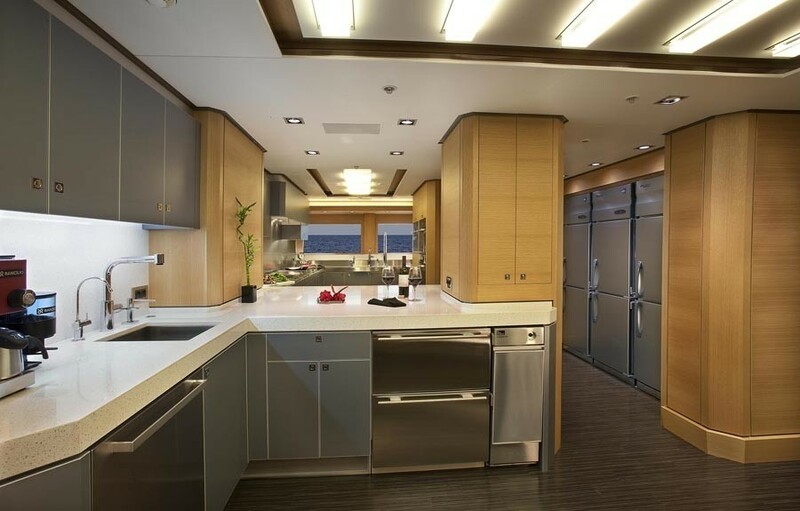 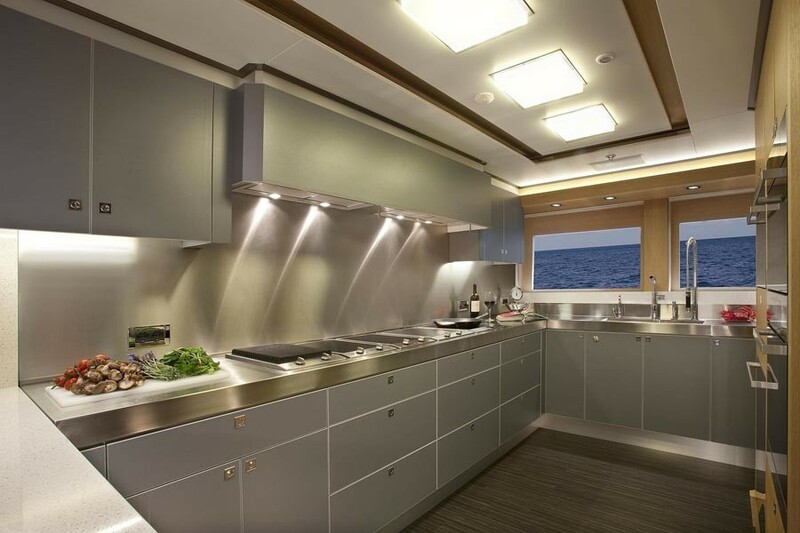 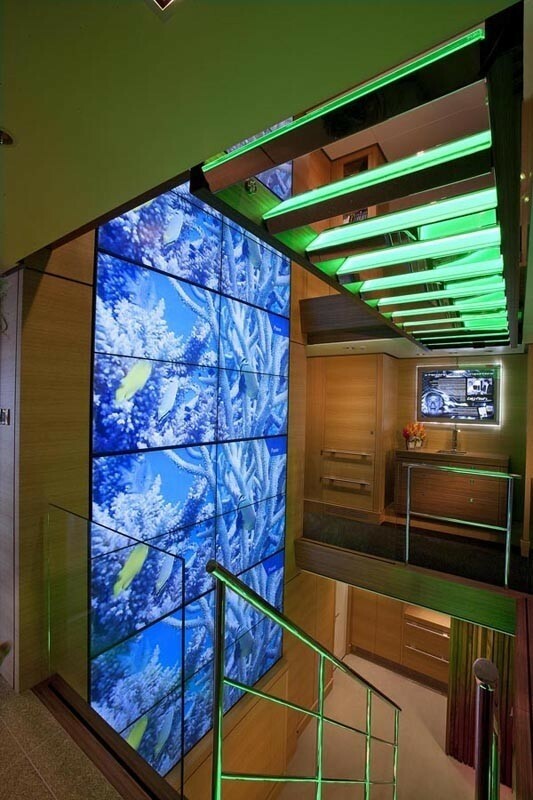 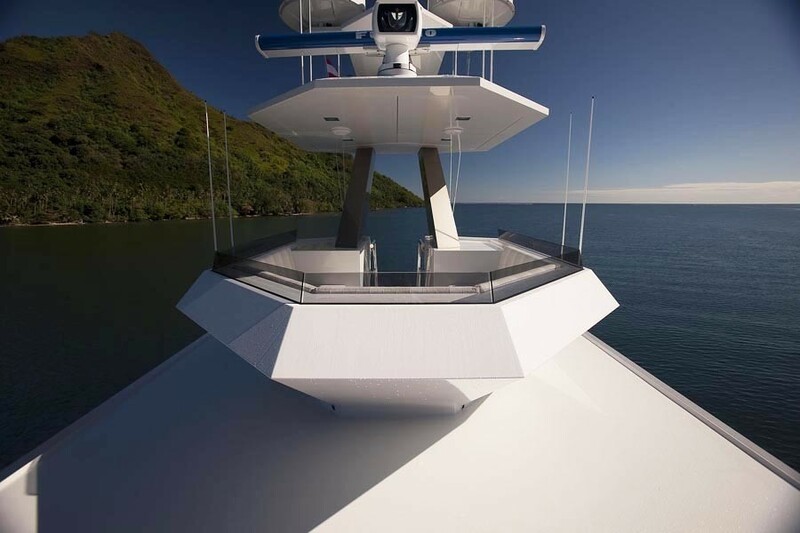 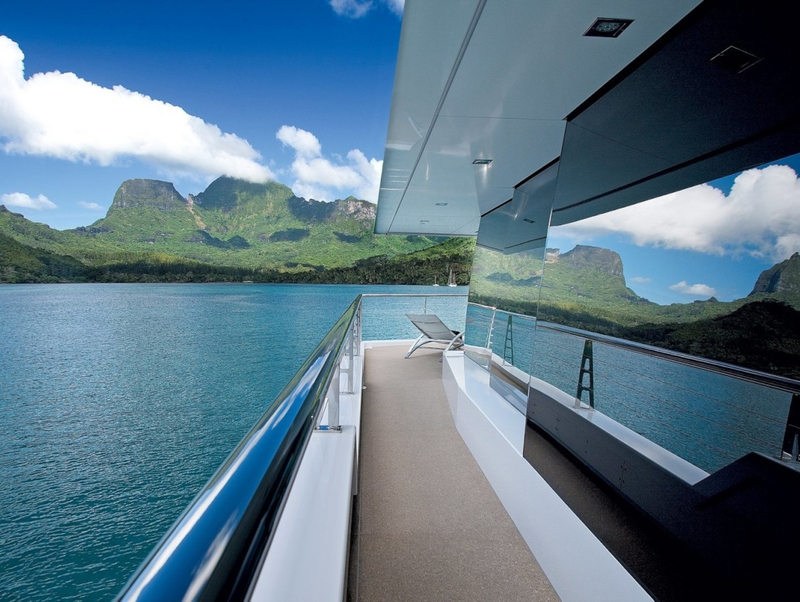 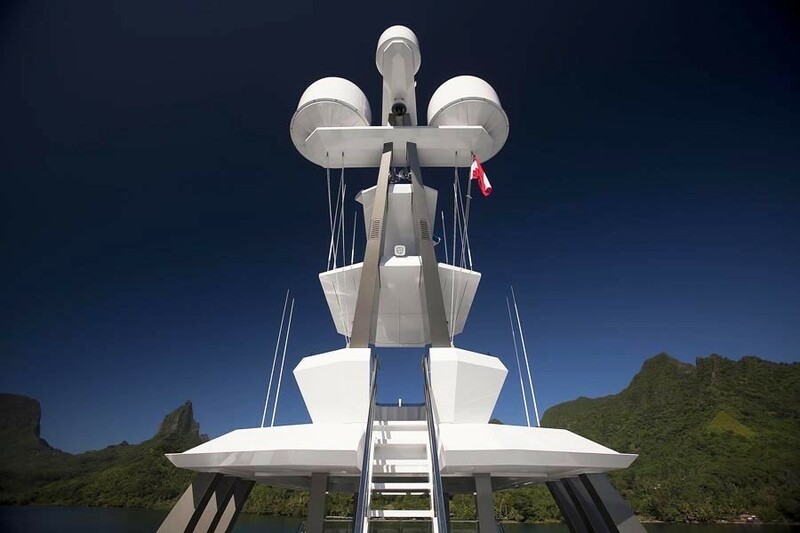 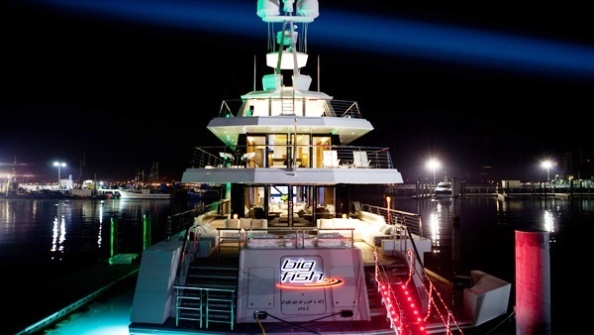 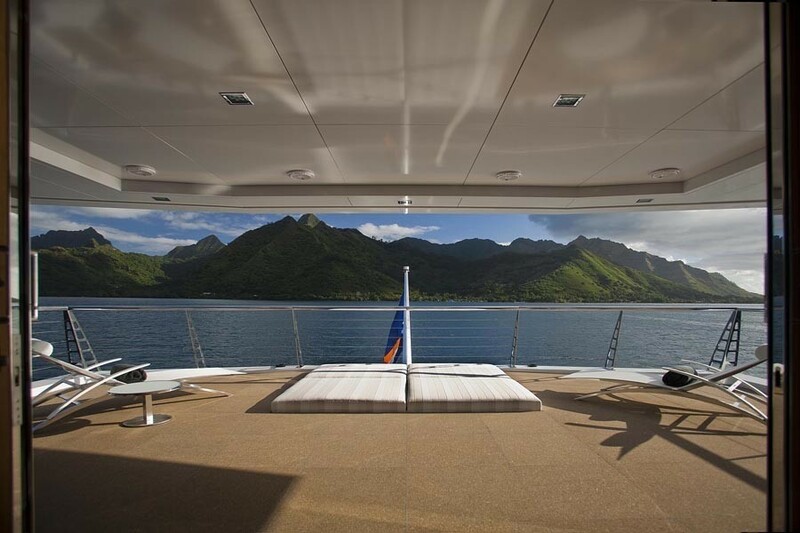 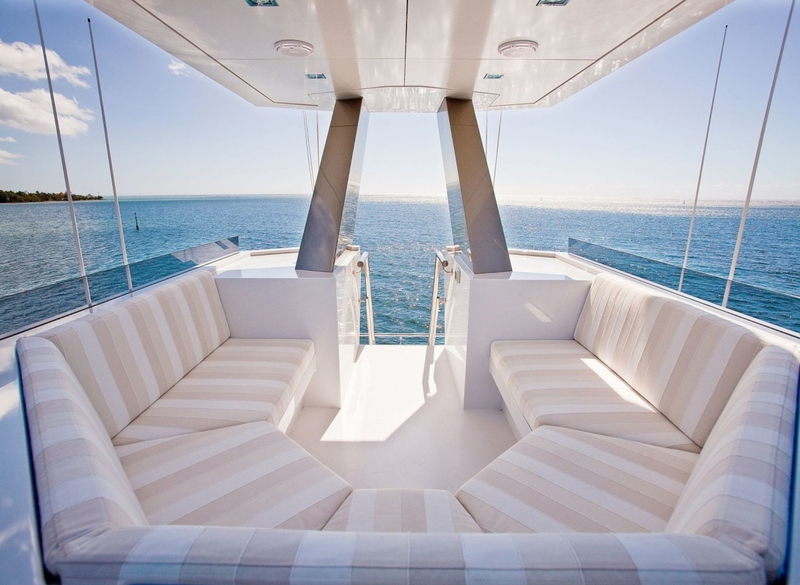 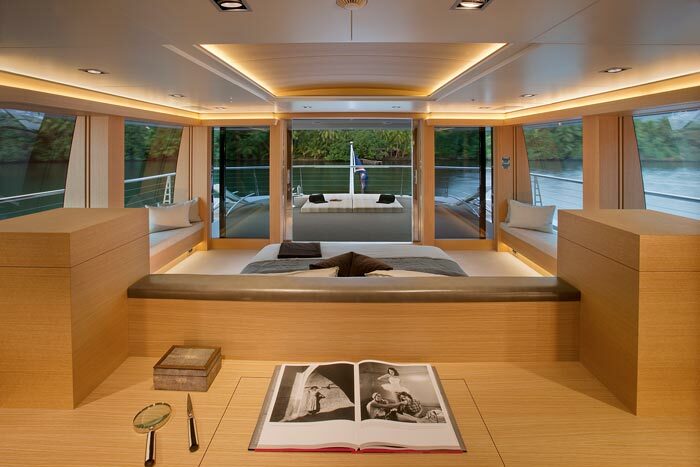 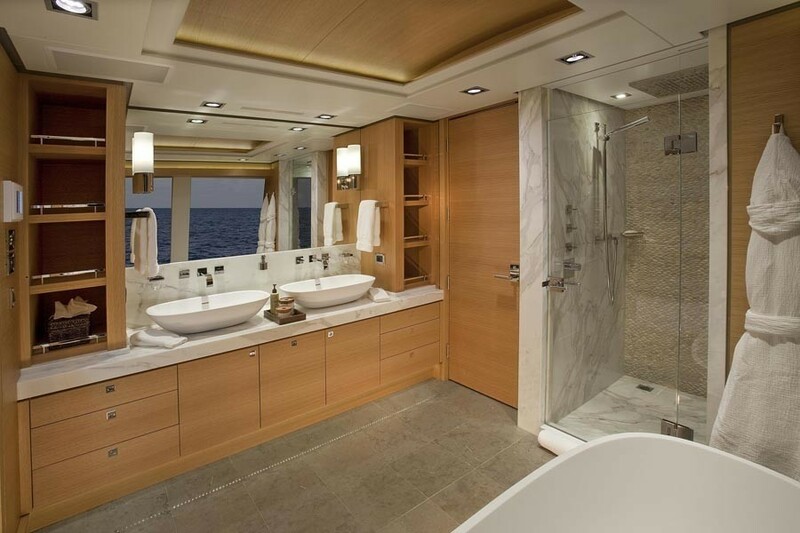 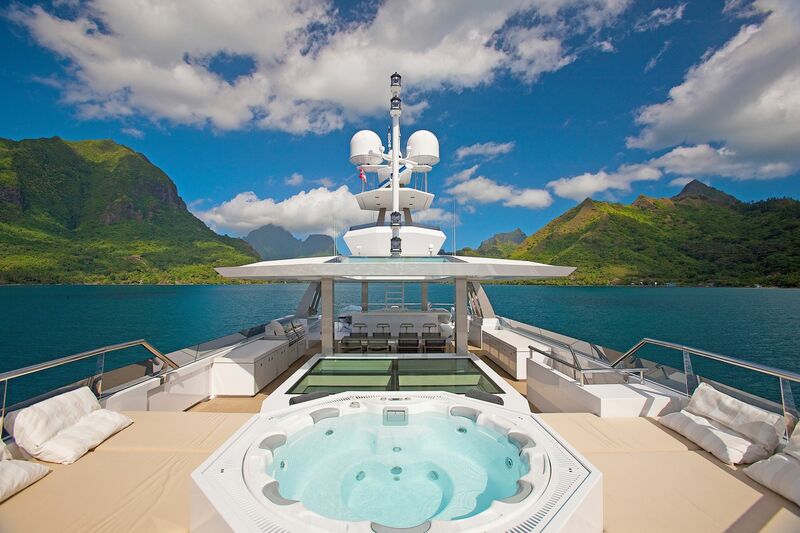 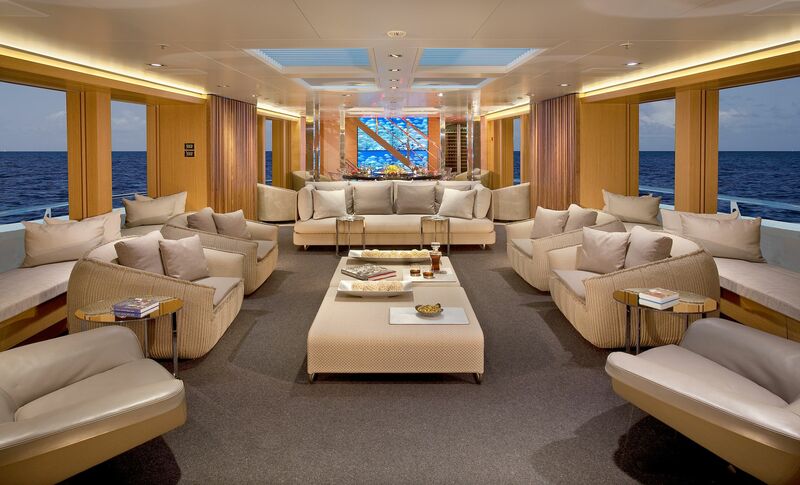 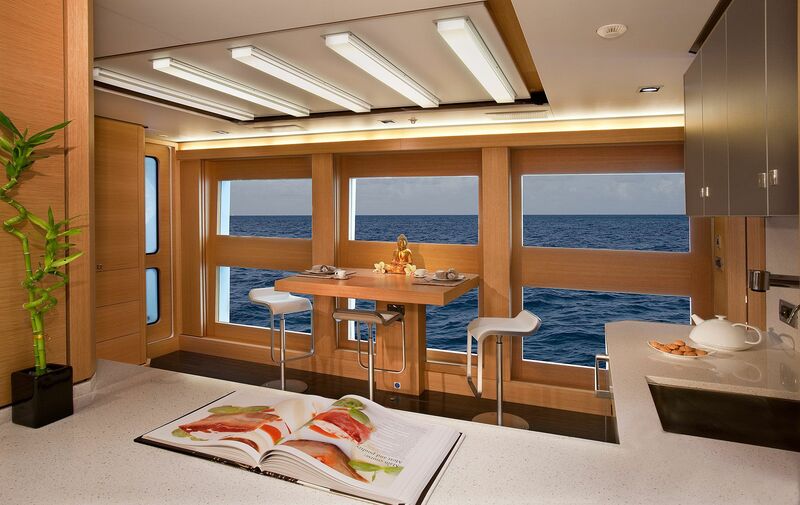 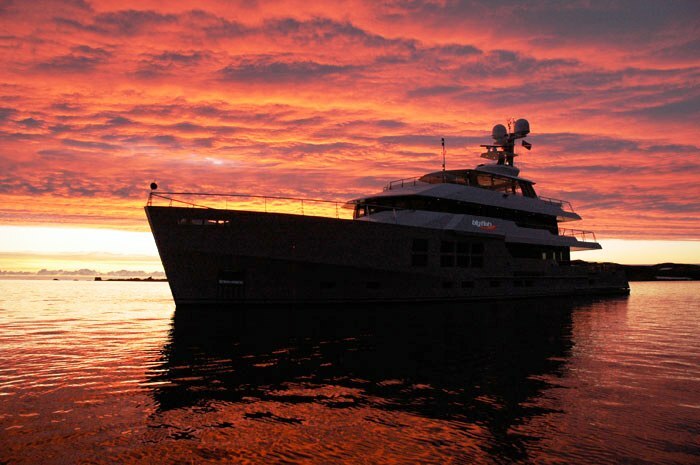 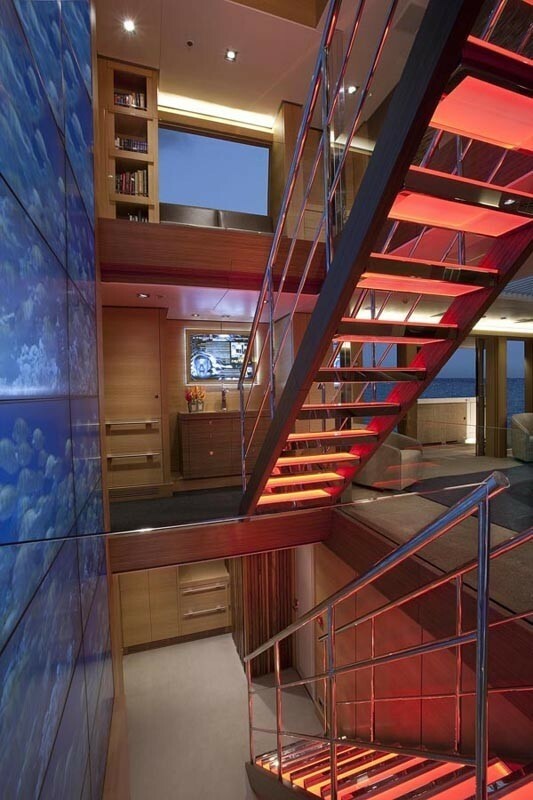 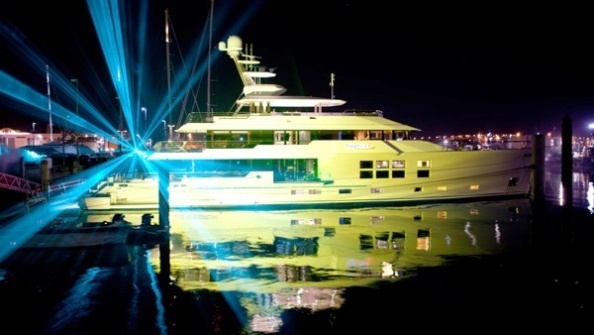 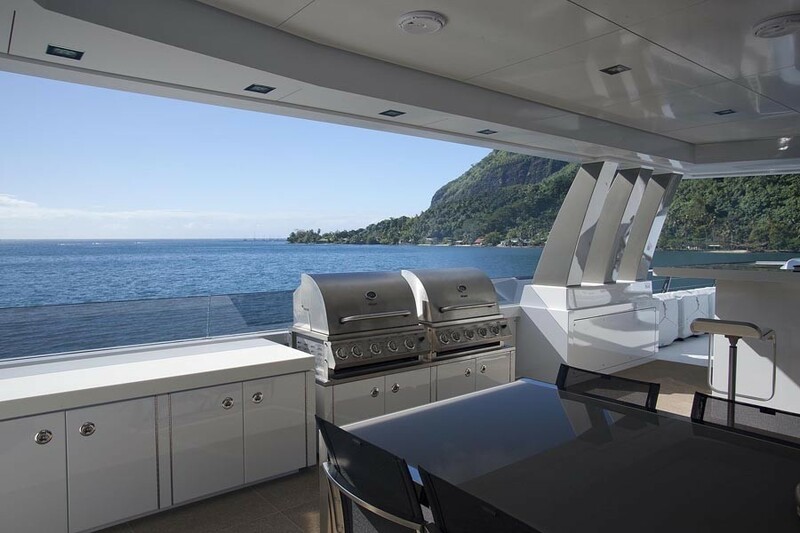 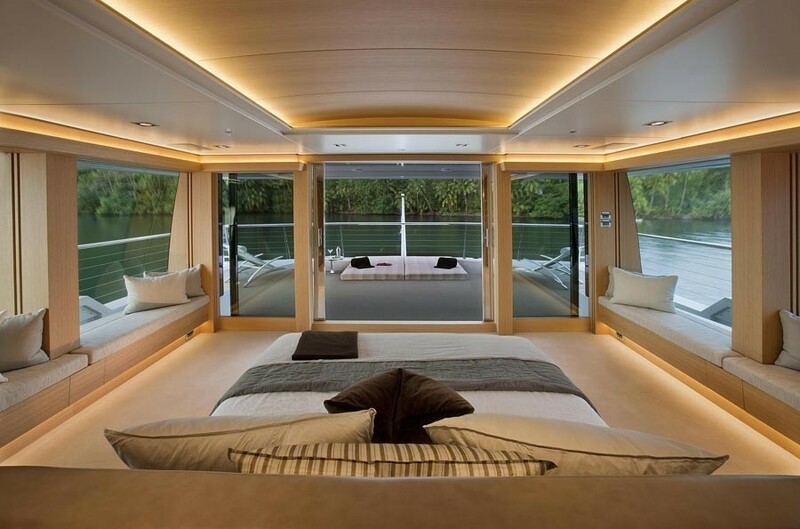 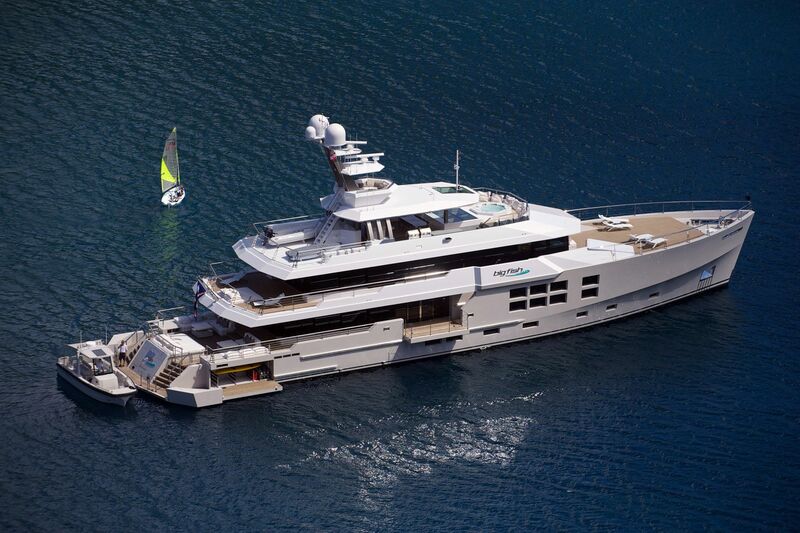 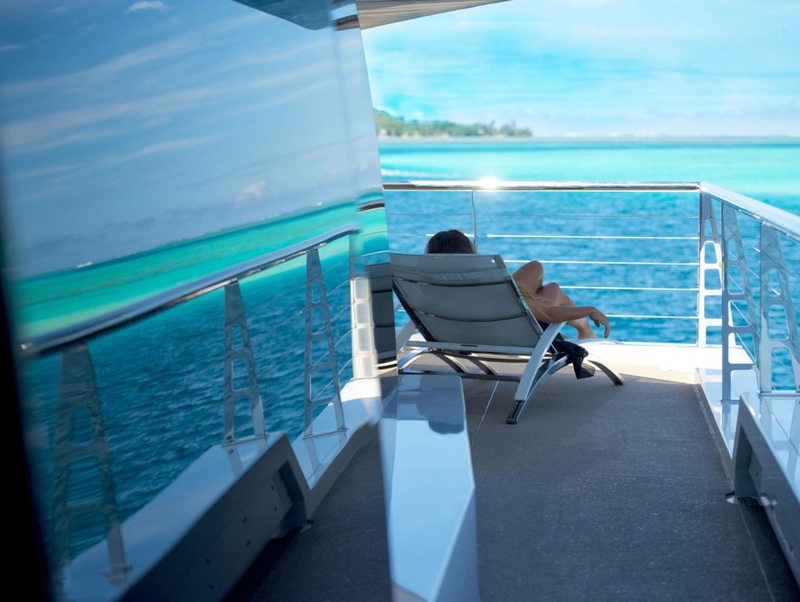 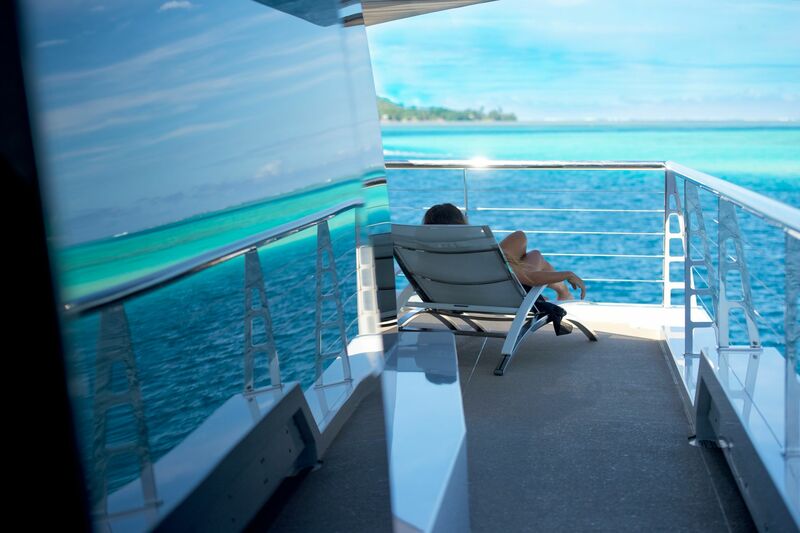 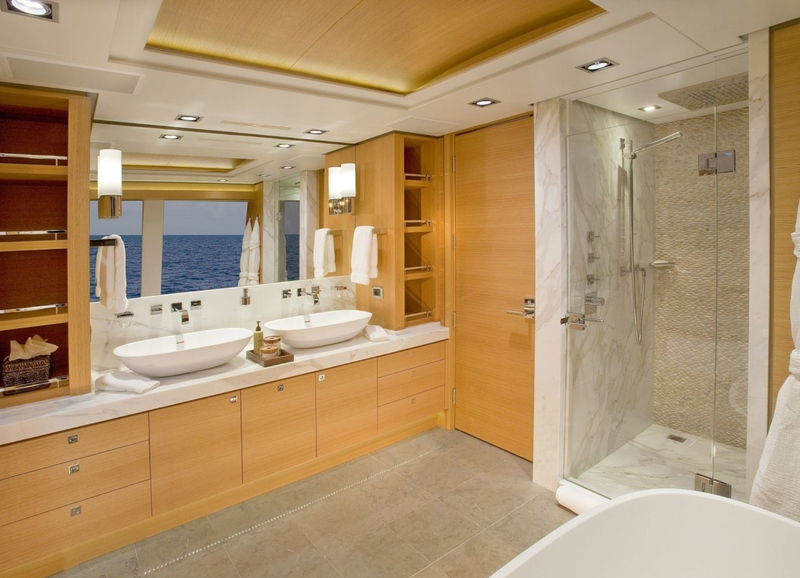 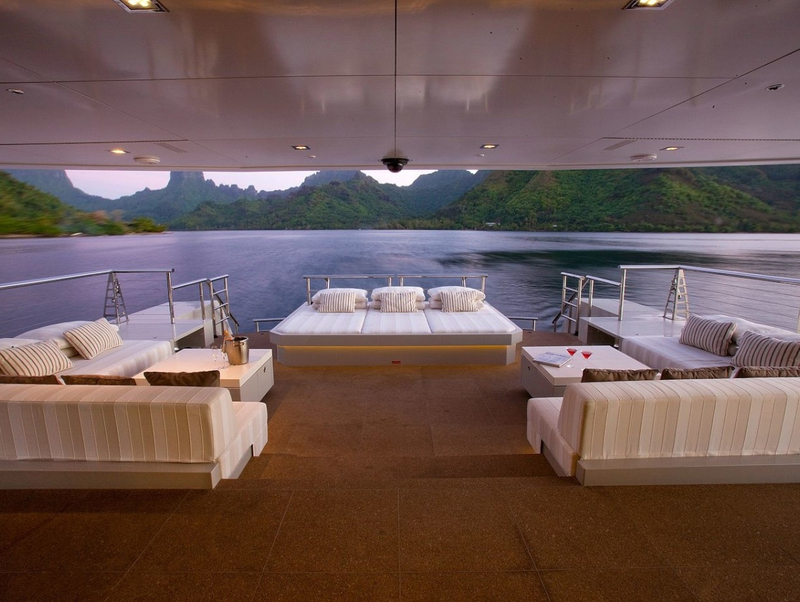 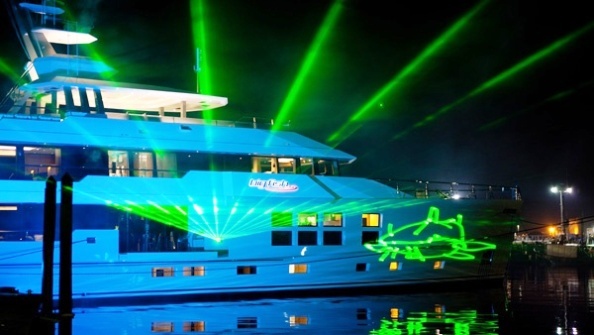 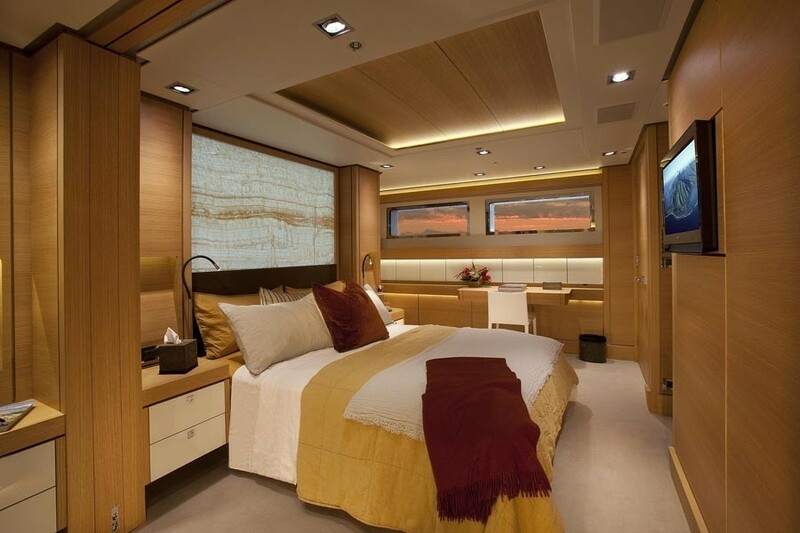 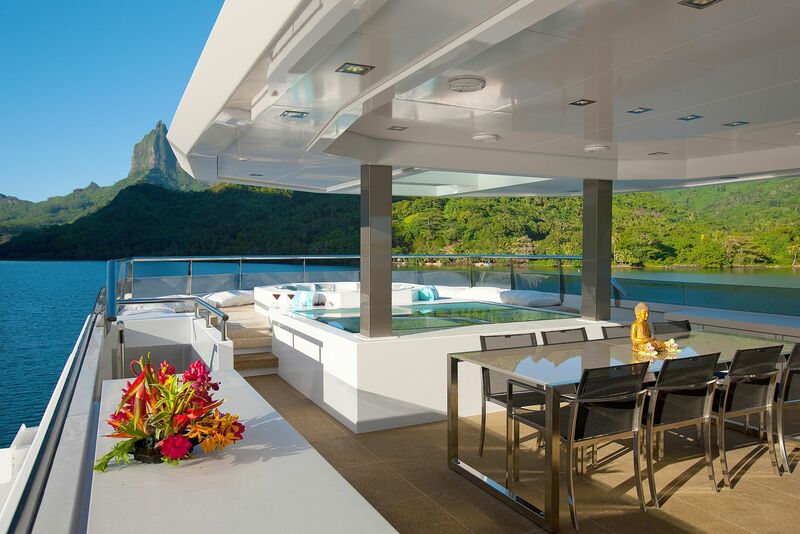 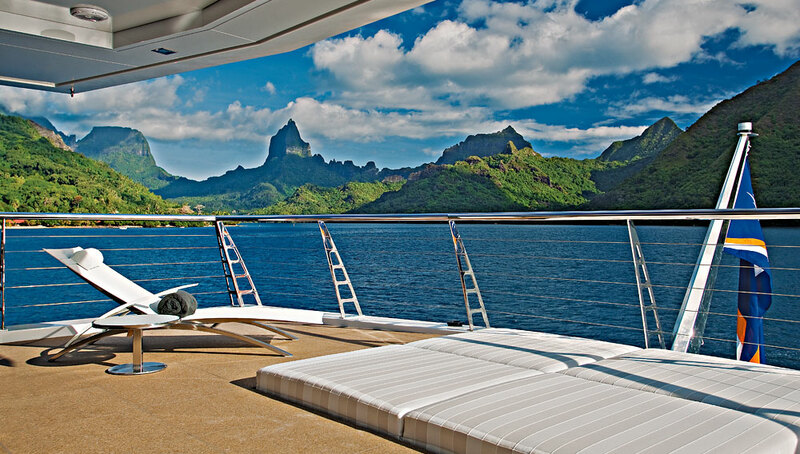 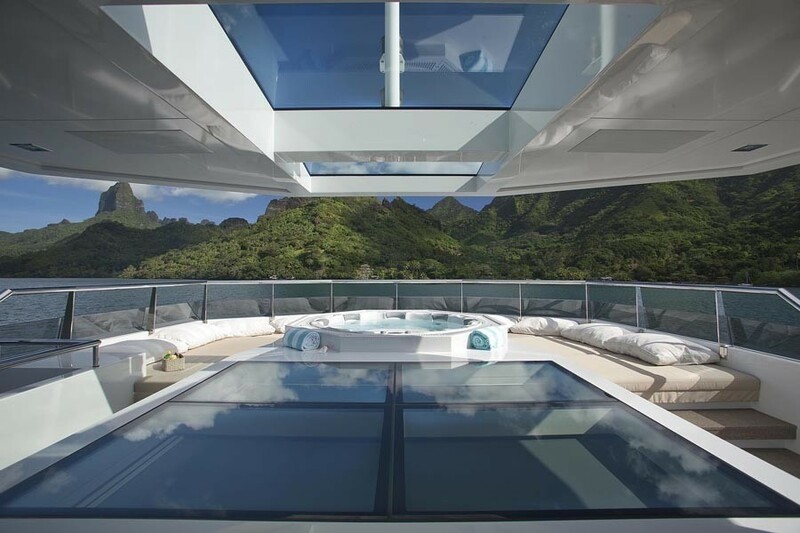 This Kaleidescape system distributes audio and video signals throughout the entire yacht. 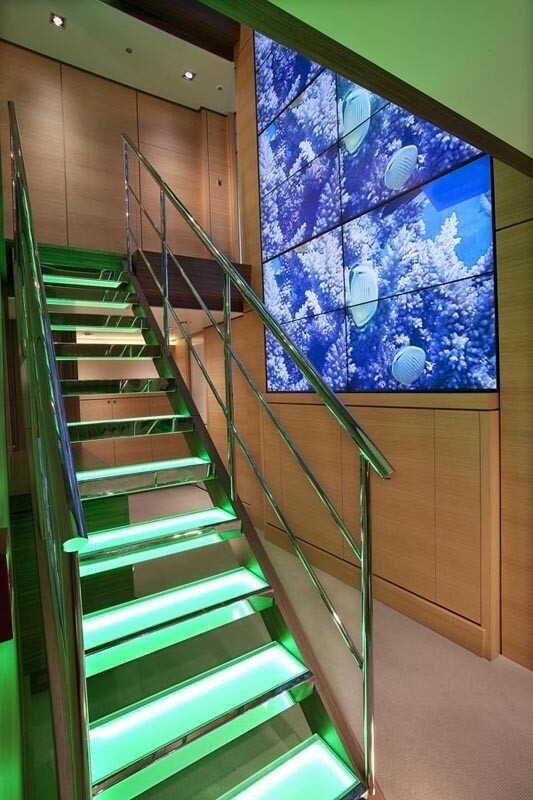 It does this from central hard drives which are capable of storing 1200 films and thousands of music CD's. 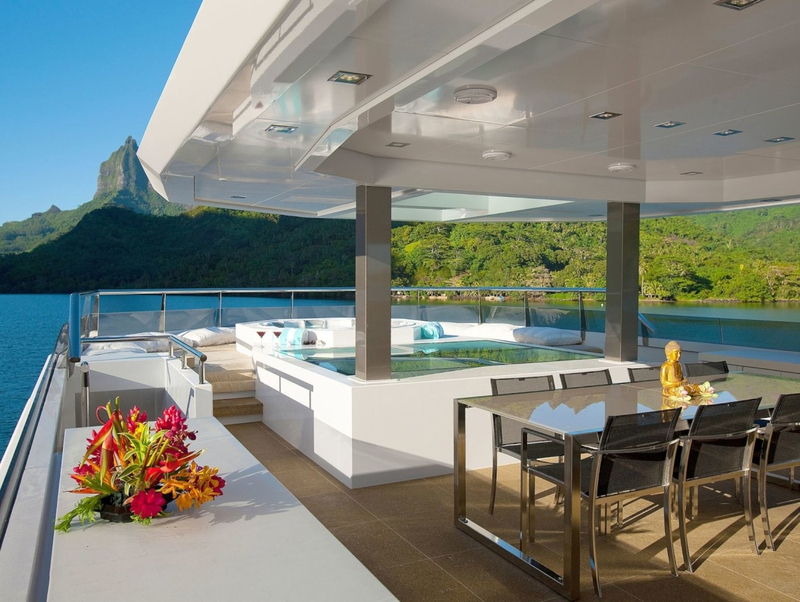 In addition satellite TV signals can be received and displayed world wide. 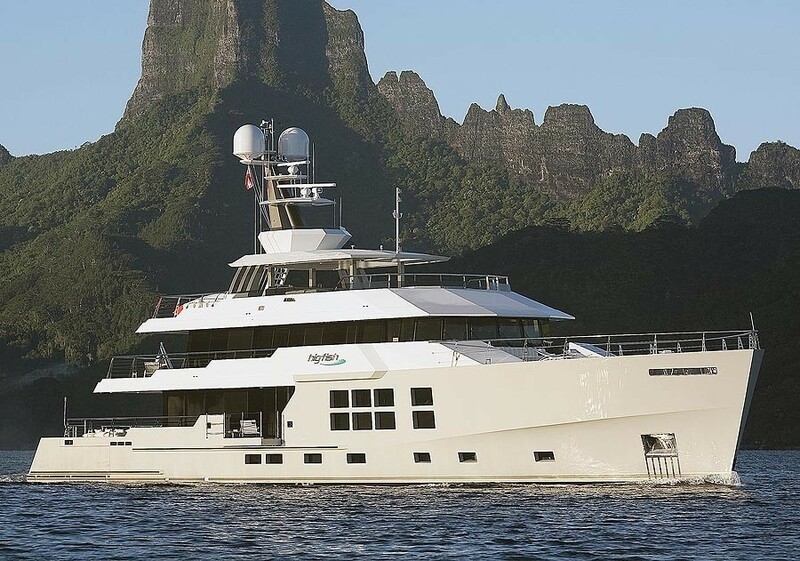 This outstanding quality yacht is a successful collaboration between yacht’s owners, Greg Marshall Design and McMullen & Wing – a partnership which has been successful in the past. 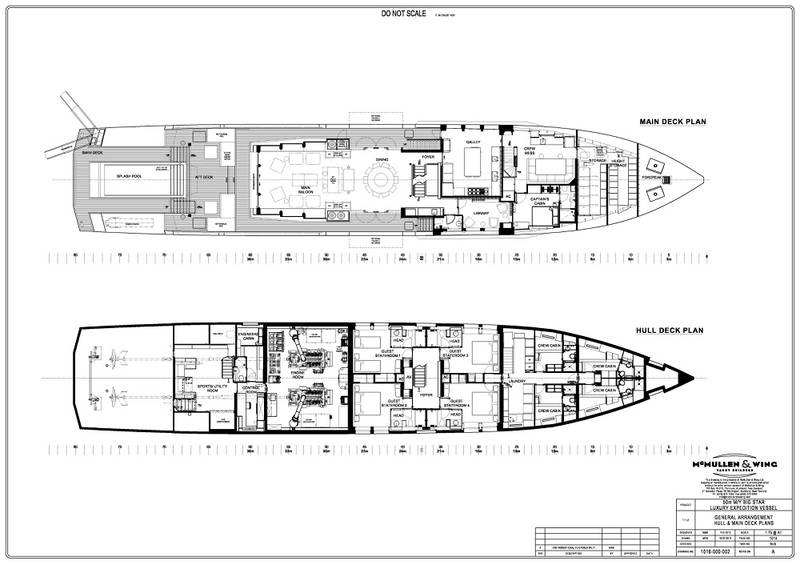 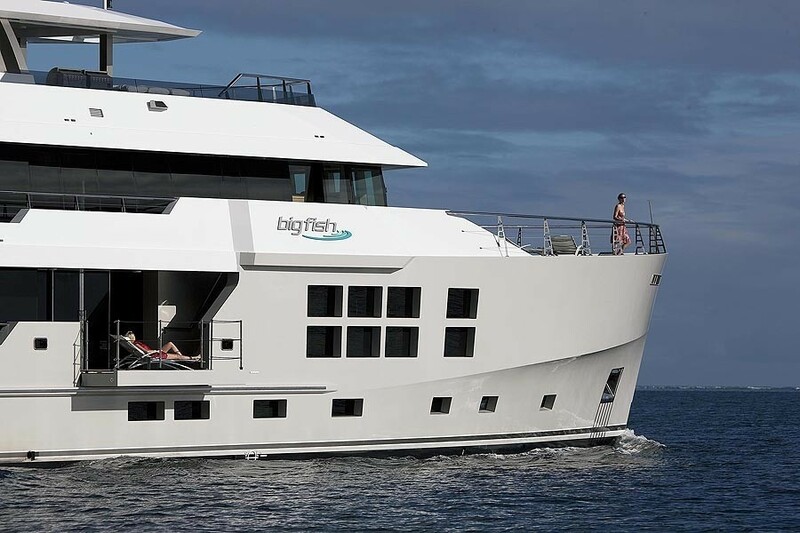 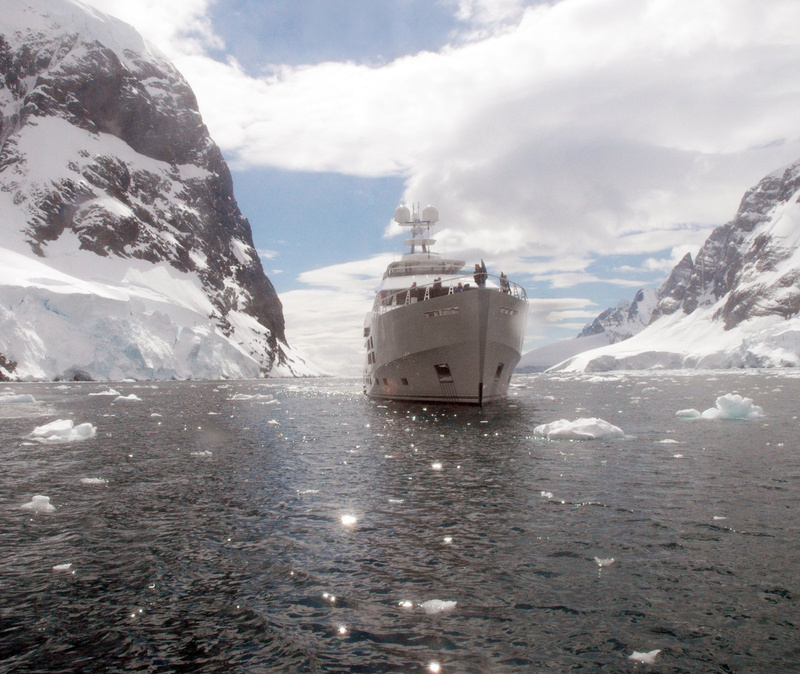 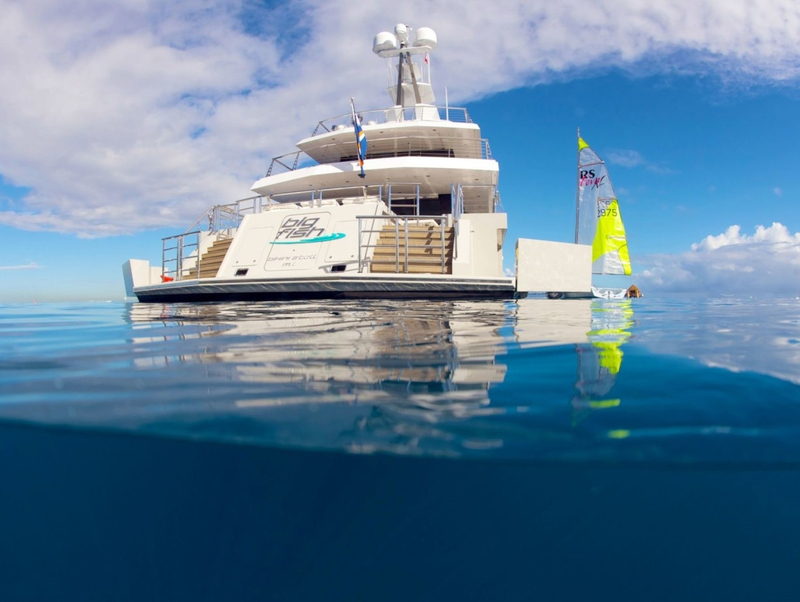 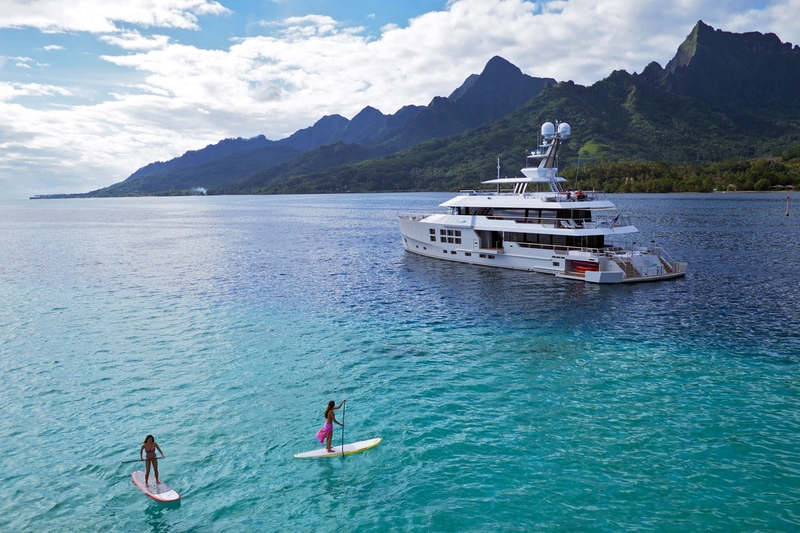 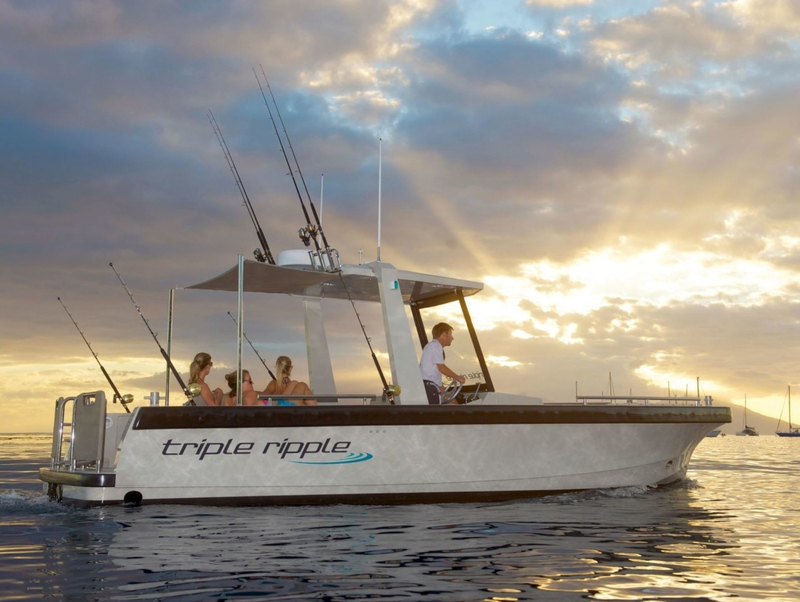 The philosophy behind the design and building of Big Fish centers on an idea that the best luxury expedition vessel must be able to achieve certain key requirements. 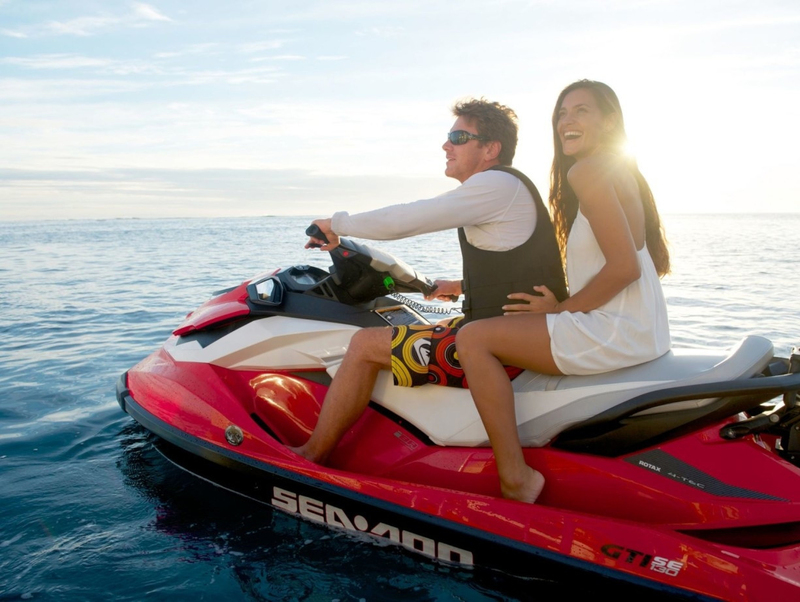 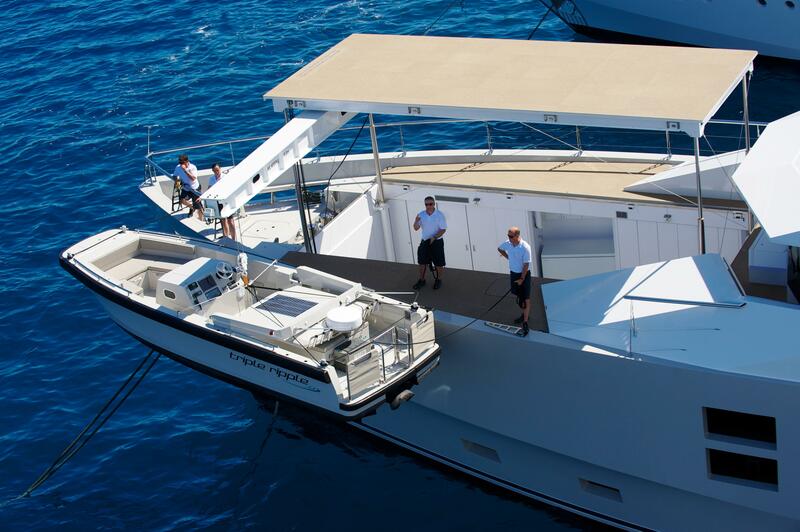 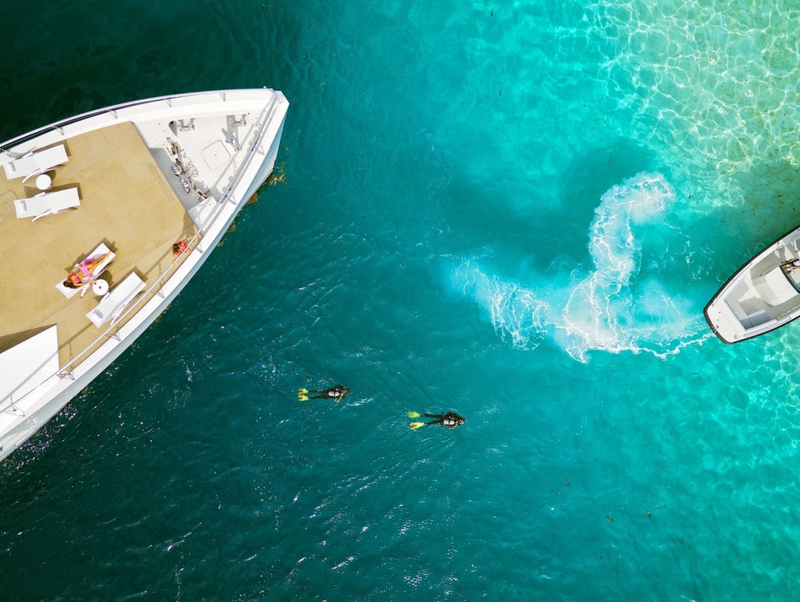 These include safely, securely and comfortably transporting the yacht owners, guests and crew to any ocean, and being able to remain on station for extended periods of time in the process. 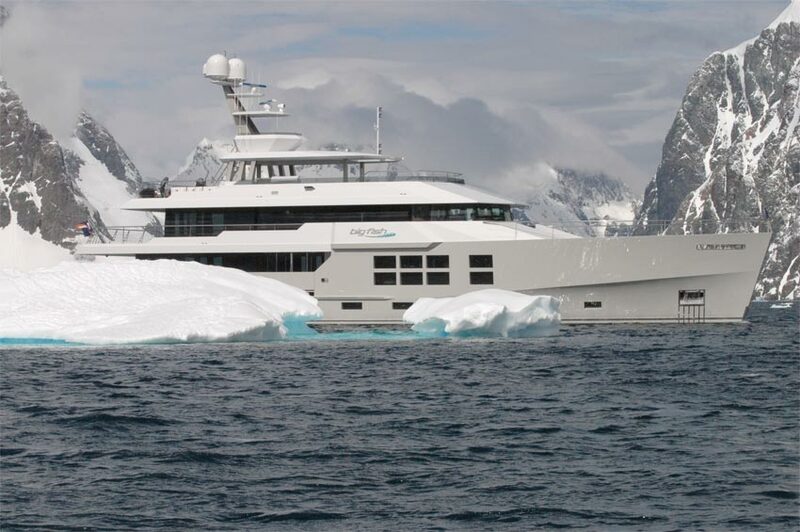 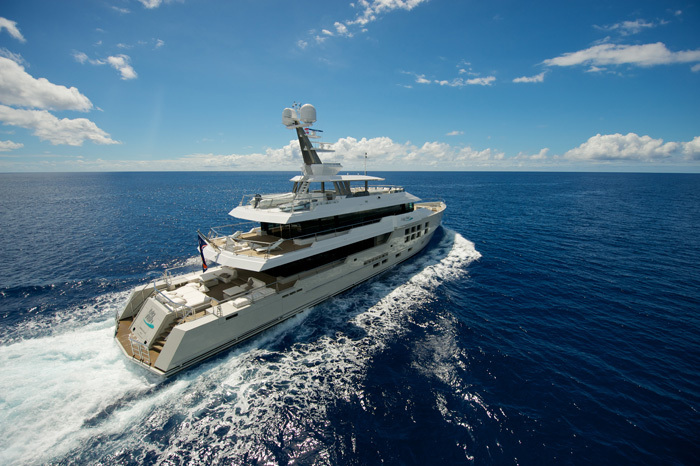 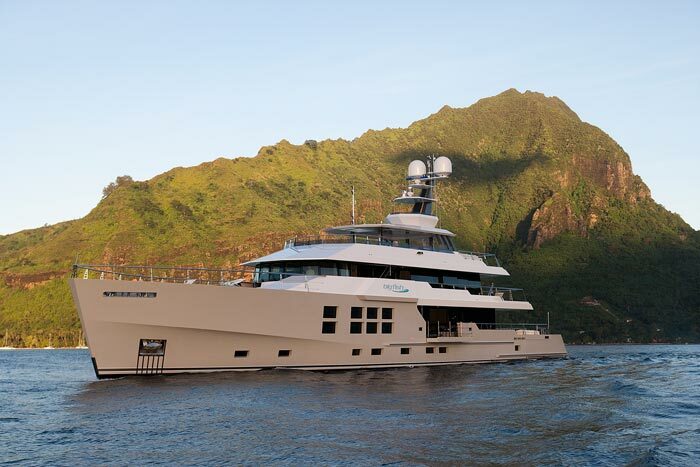 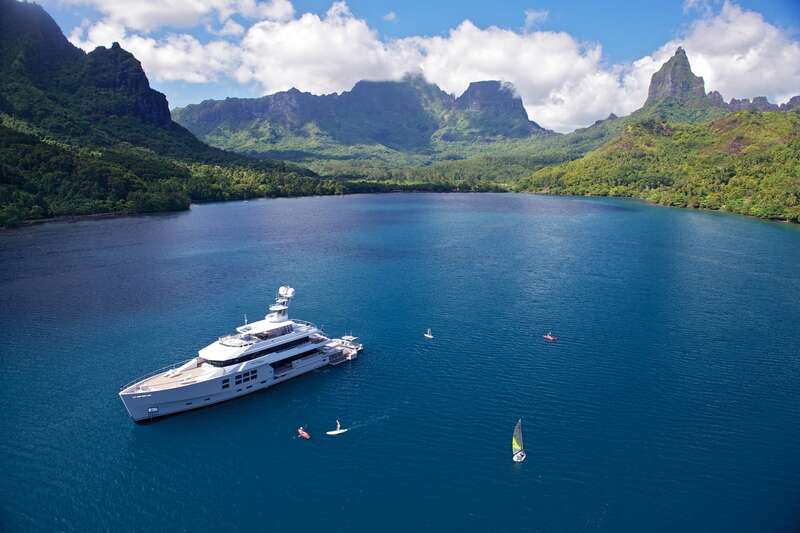 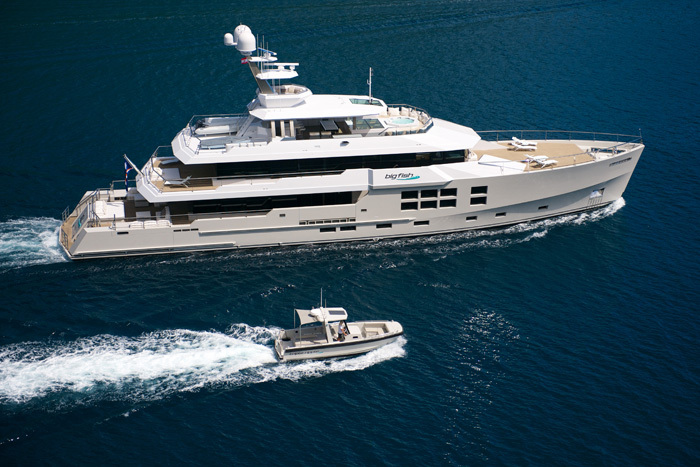 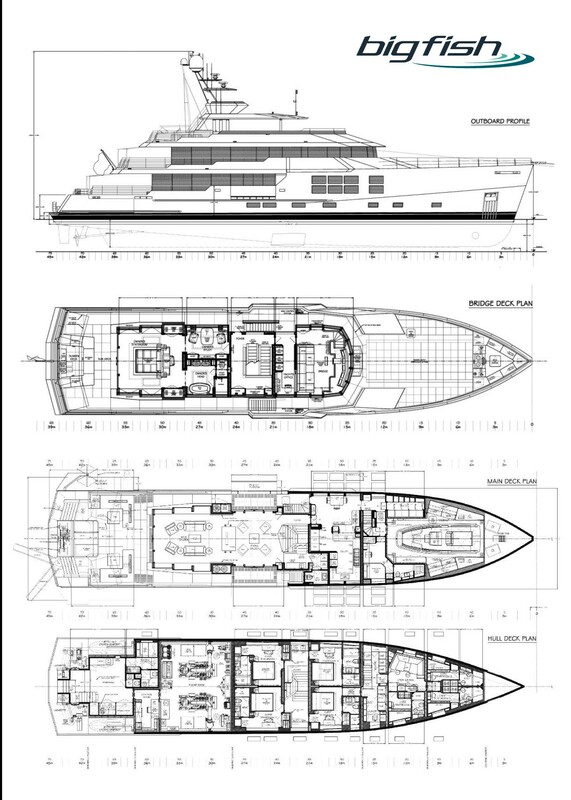 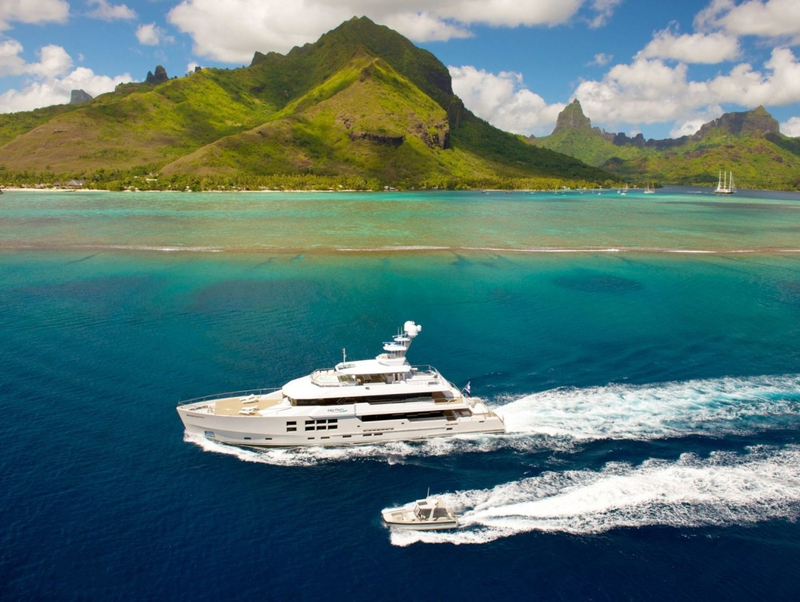 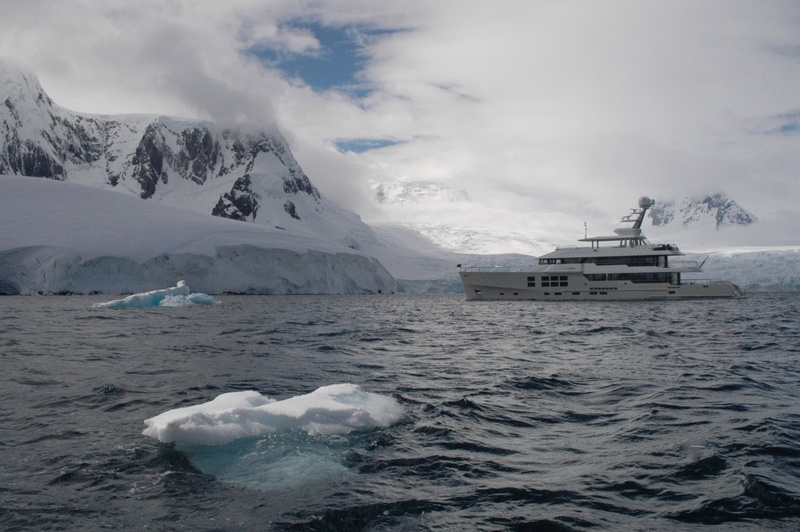 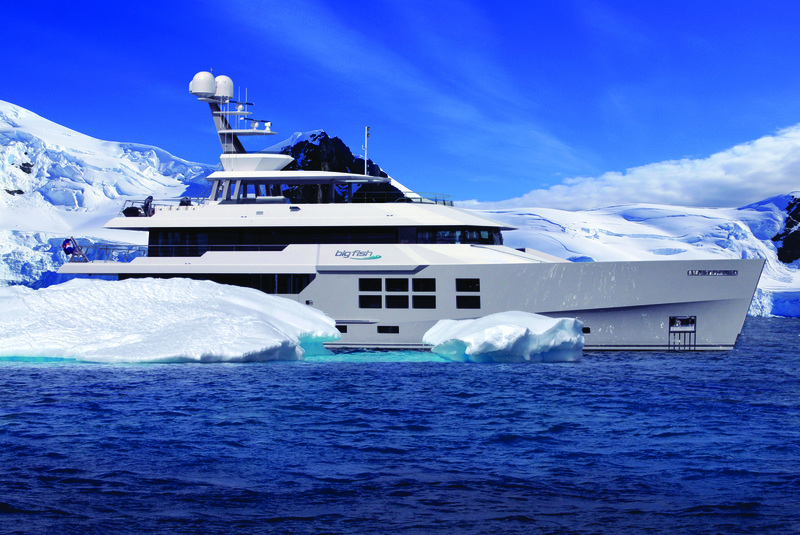 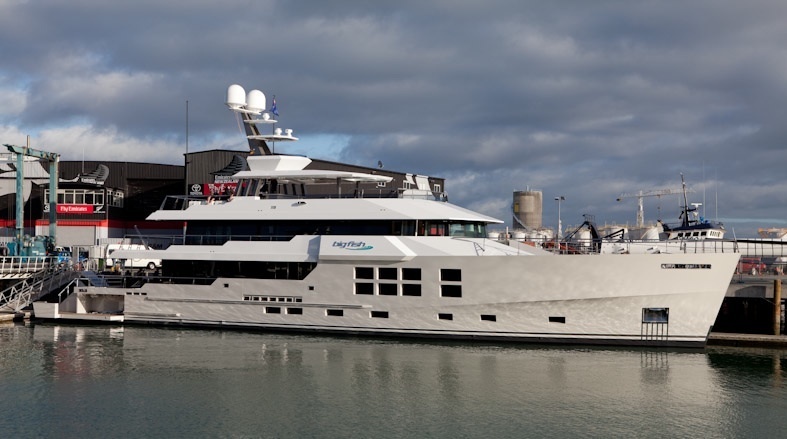 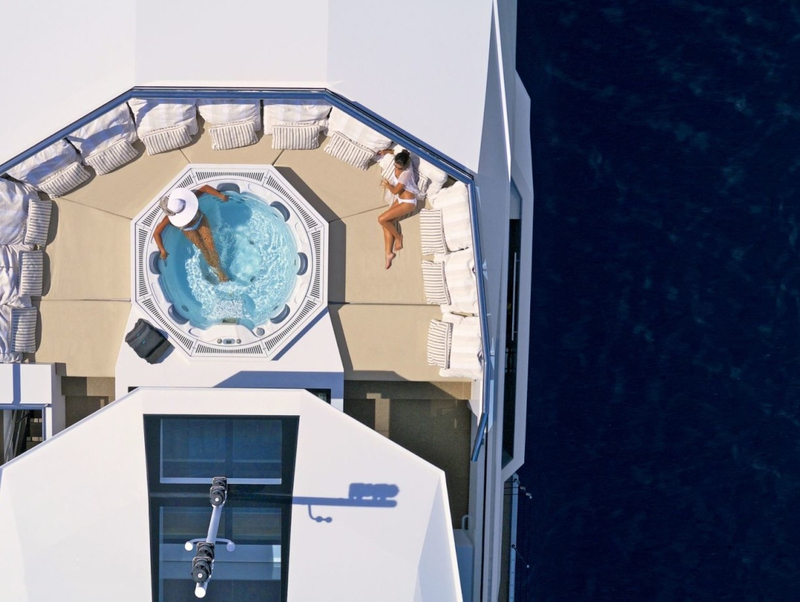 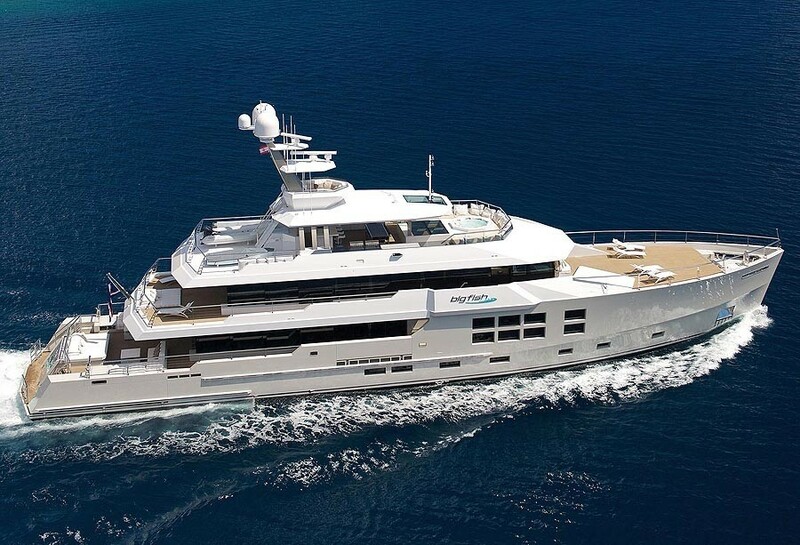 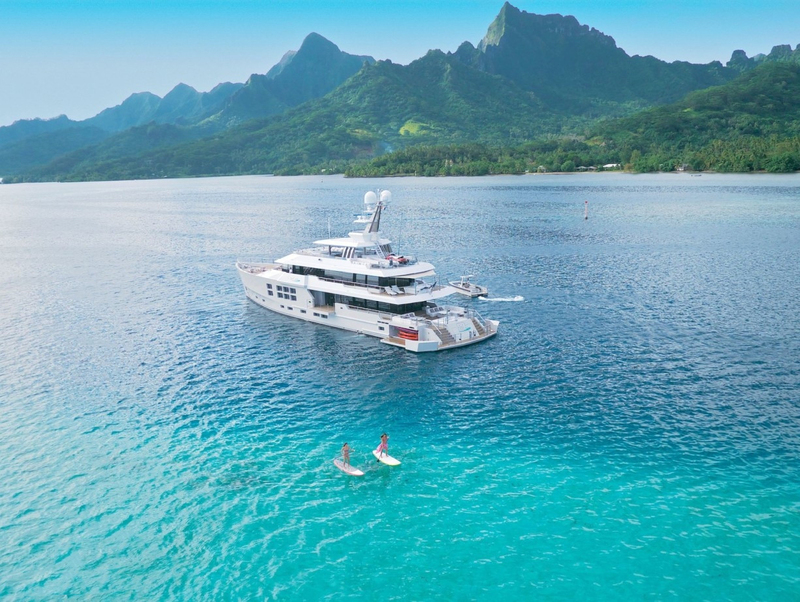 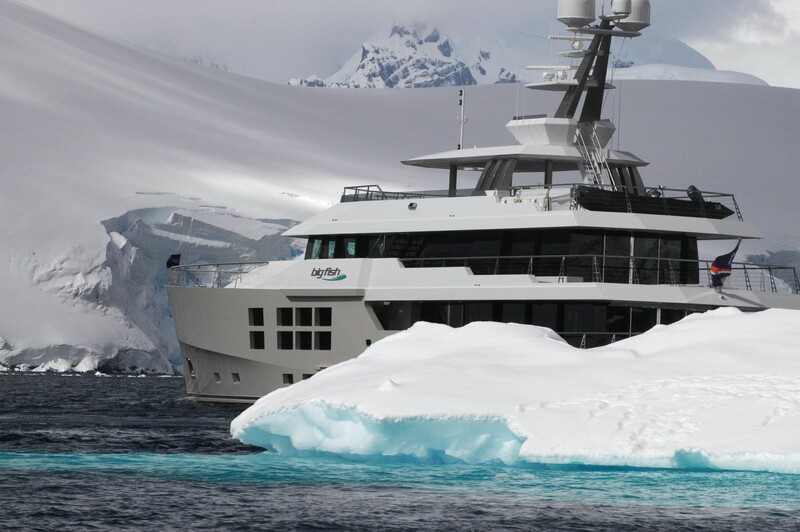 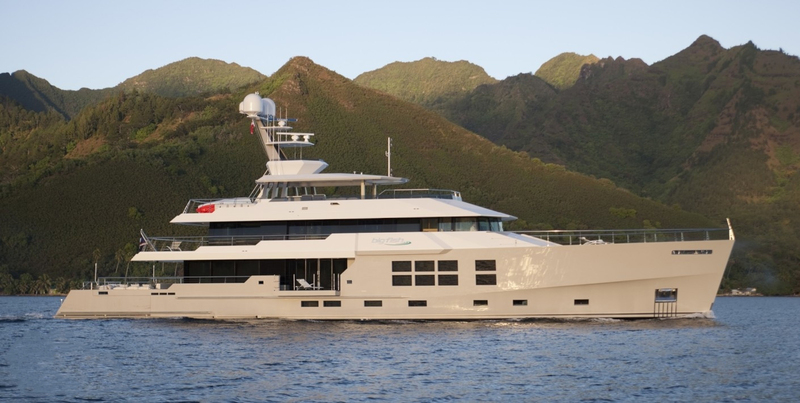 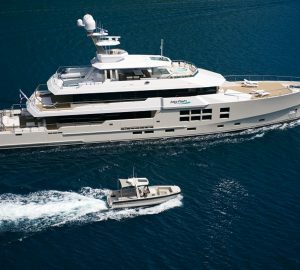 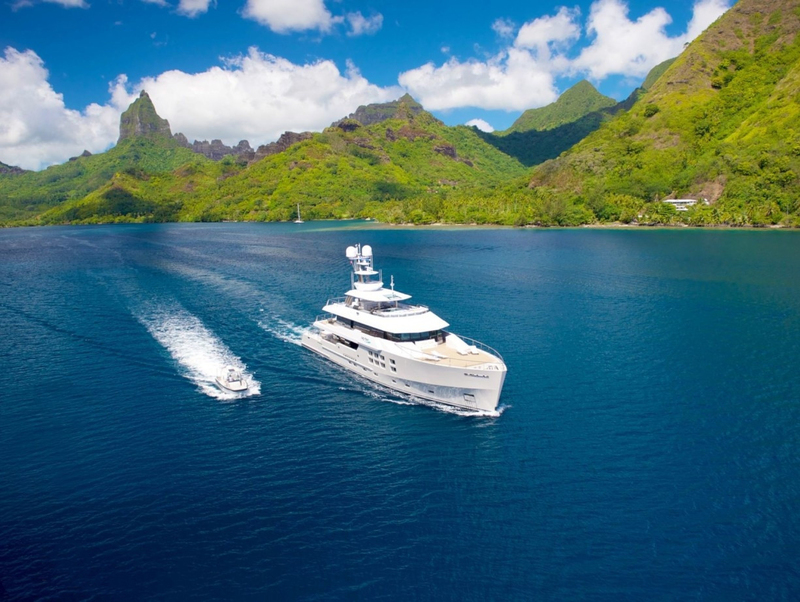 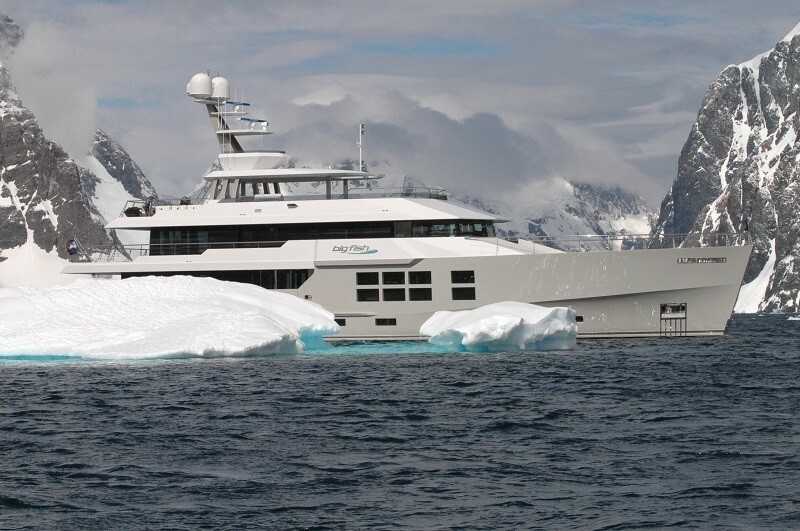 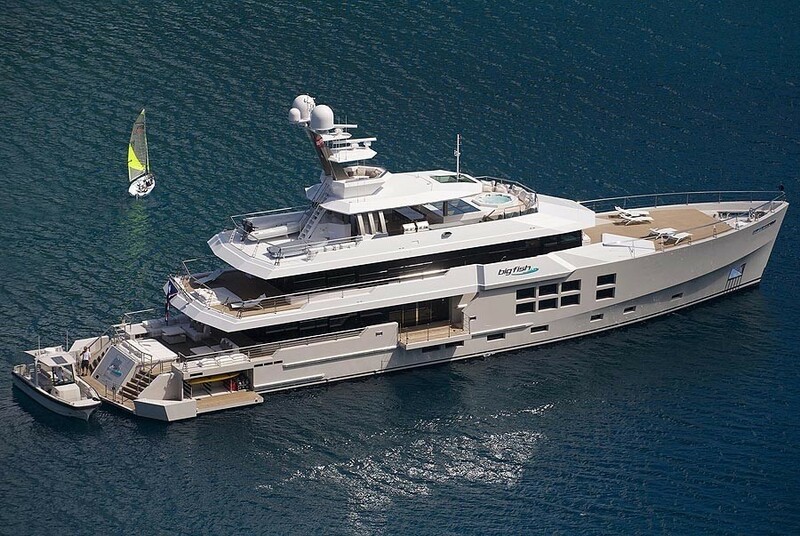 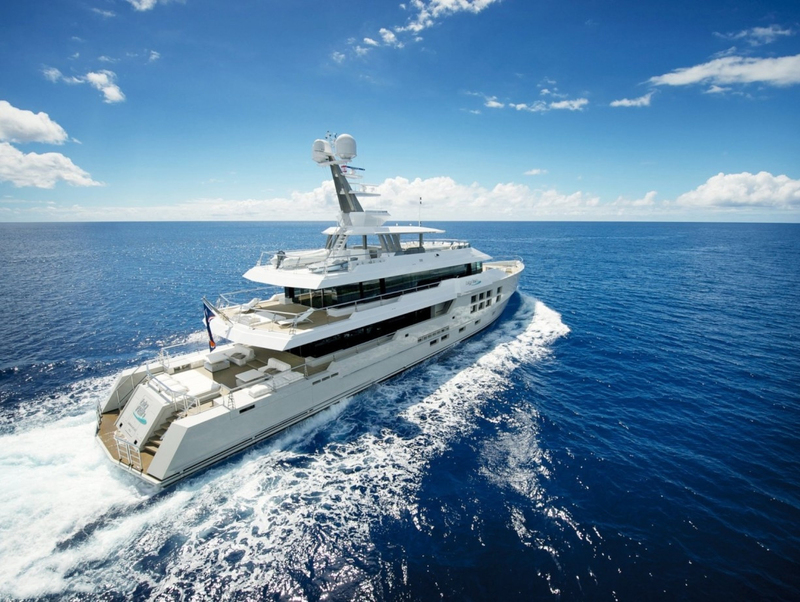 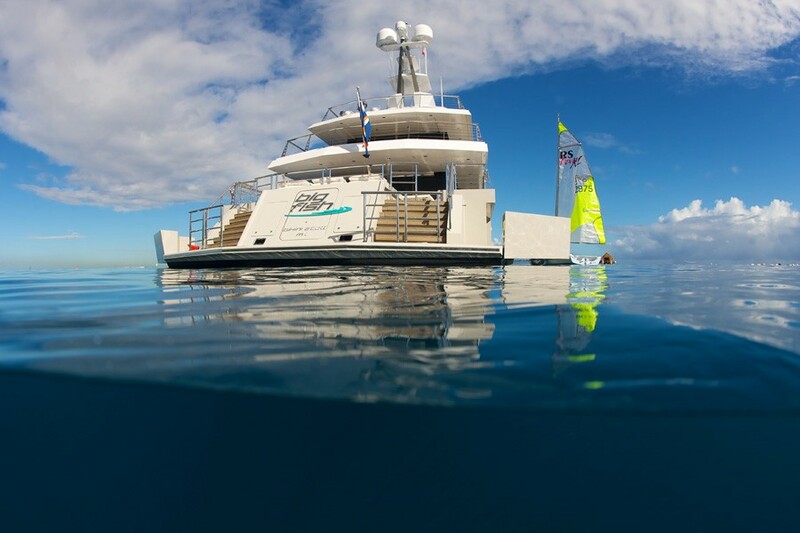 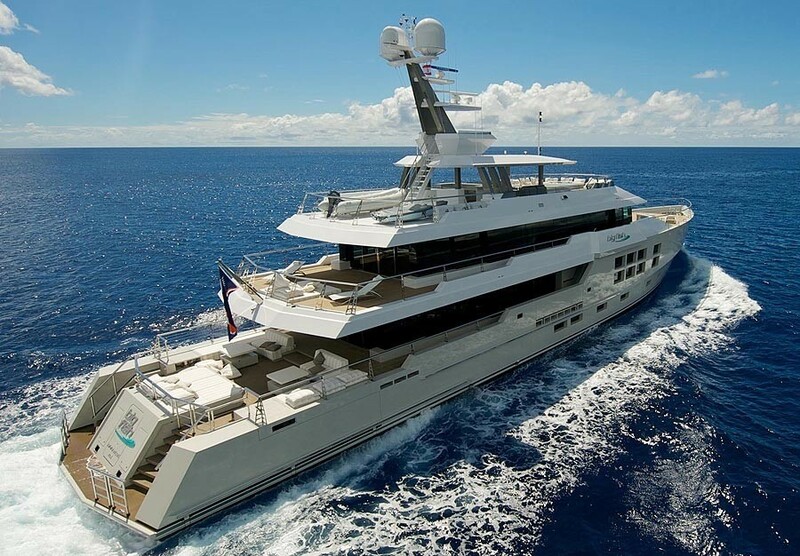 Accordingly, this explorer superyacht can accommodate adequate stores of fuel, water, consumables, specialised cargo and supplies for any imaginable ocean adventure. 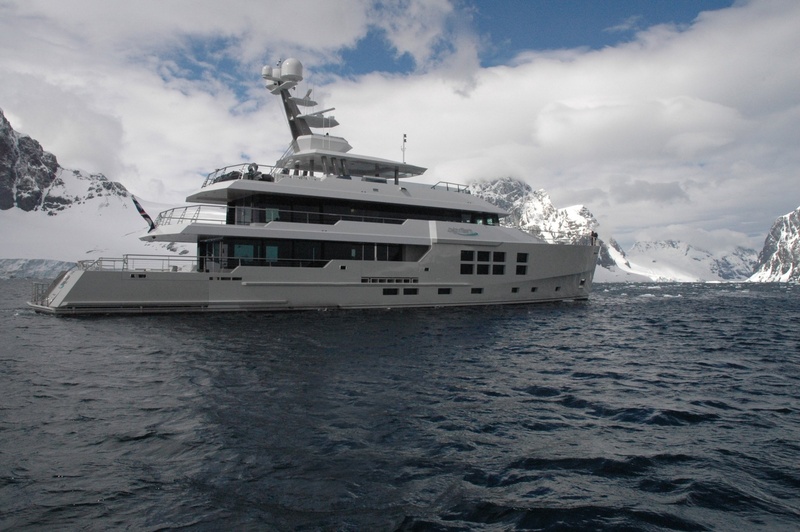 In fact, if required, she can carry medicine, books or building supplies to remote villages, or scientific and oceanographic equipment or laboratory on a voyage of exploration. 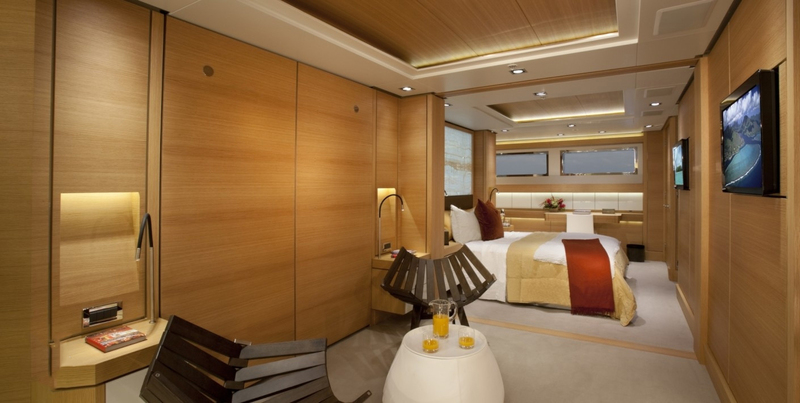 Charter accommodation consists of five double staterooms, all with ensuite facilities, meaning she can sleep a maximum of 10 guests overnight. 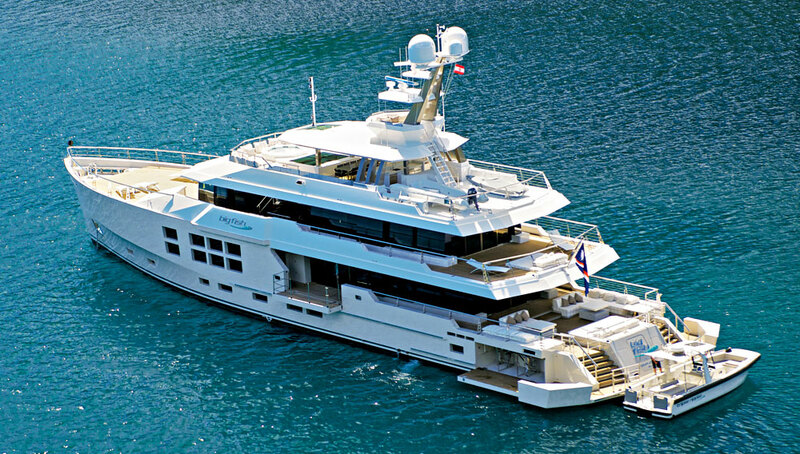 She can also cruise during the day with 12 guests. 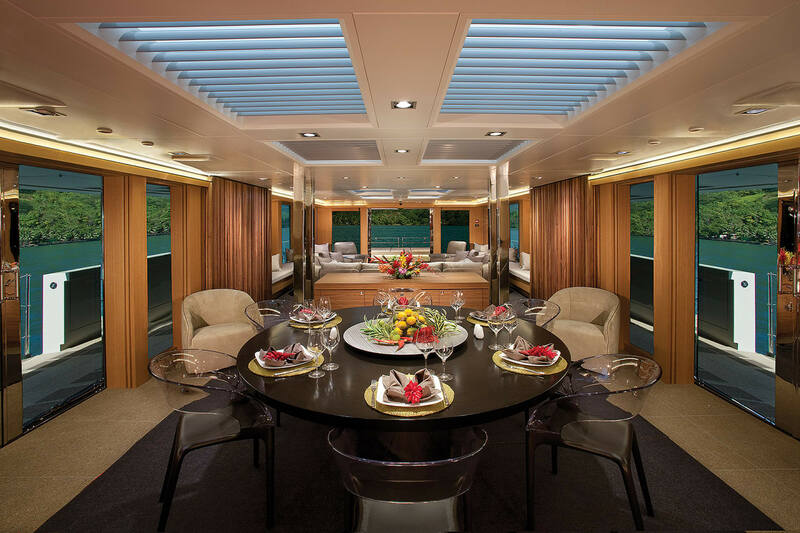 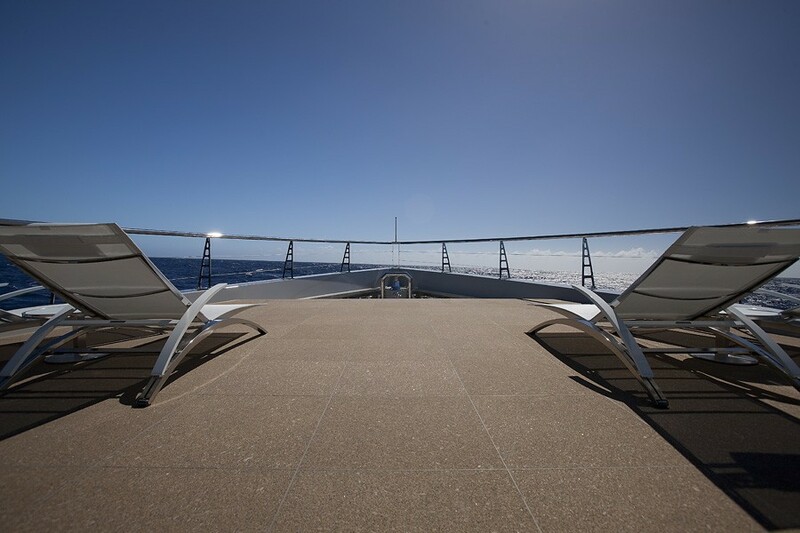 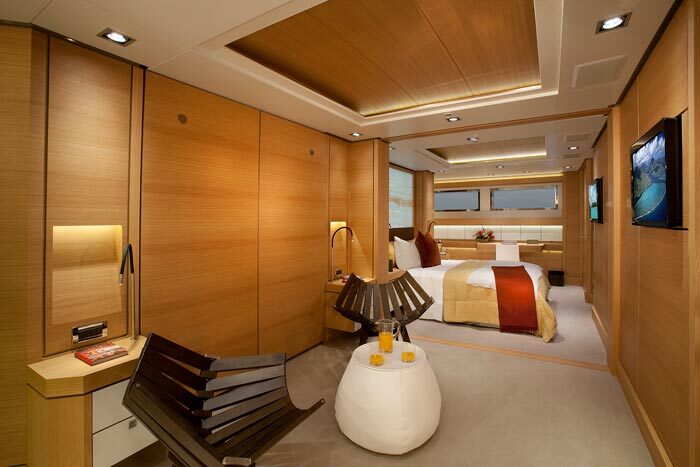 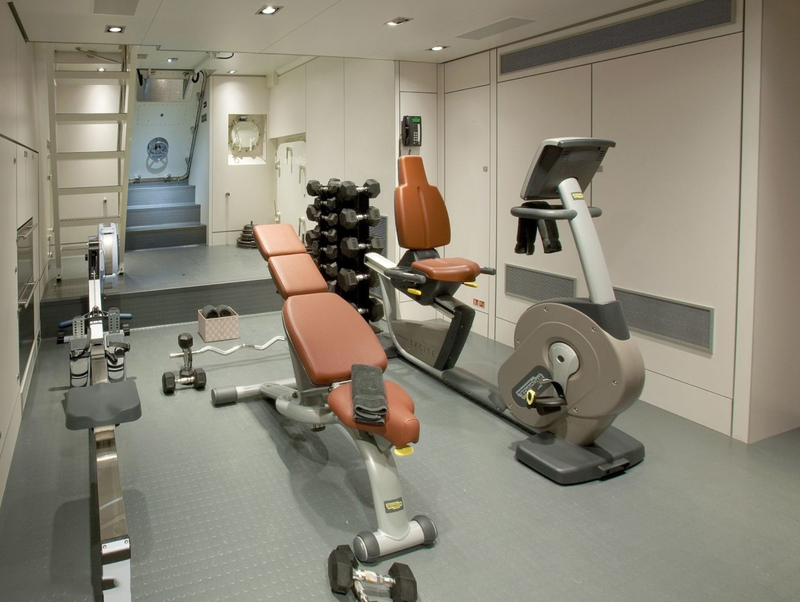 The guest cabins on the Main deck can be converted into two VIP suites. 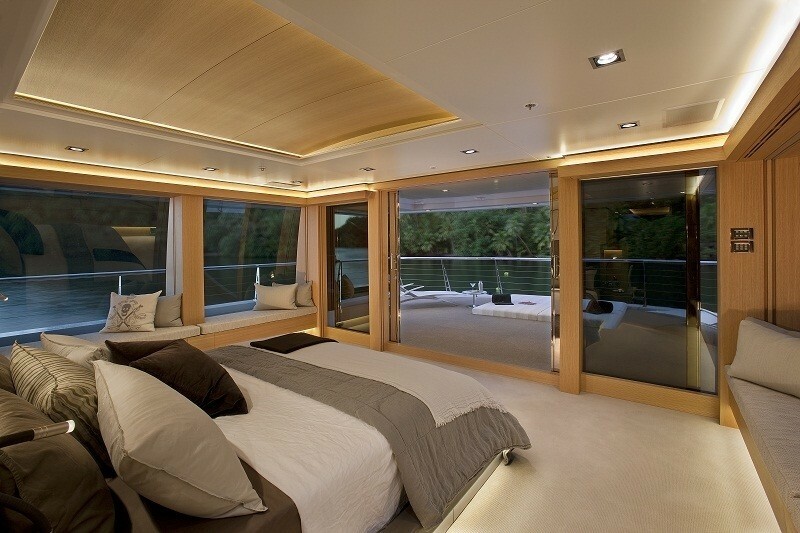 Wall disappears and beds fold back against the wall, giving flexibility. 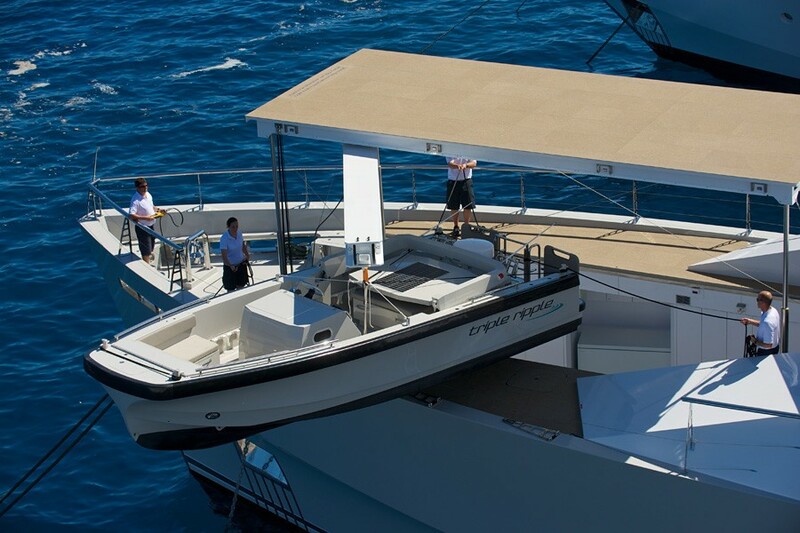 Tenders & Toys: - 28' Custom M & W tender (300 mile range) Communications Two Furuno VHF's: Two Standard VHF's. 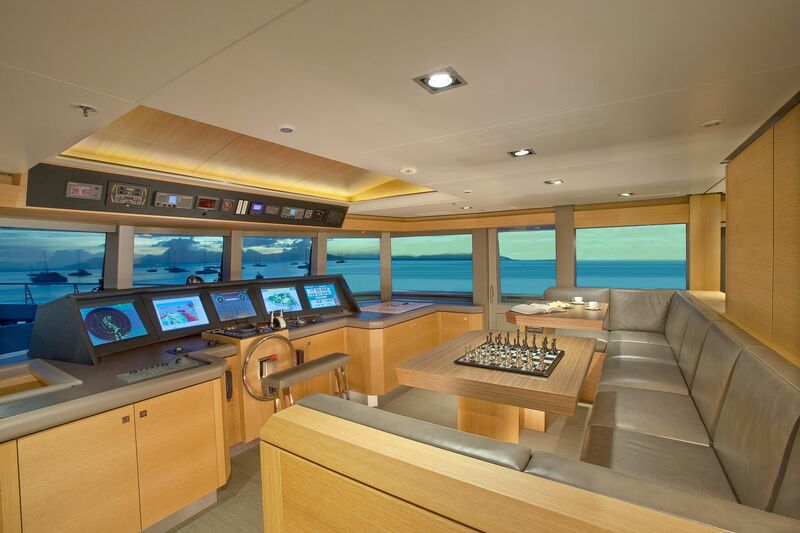 SeaTel 4006 VSat: - broadband, VOIP. Thane and Thrane: - Fleet broadband, voice and fax. 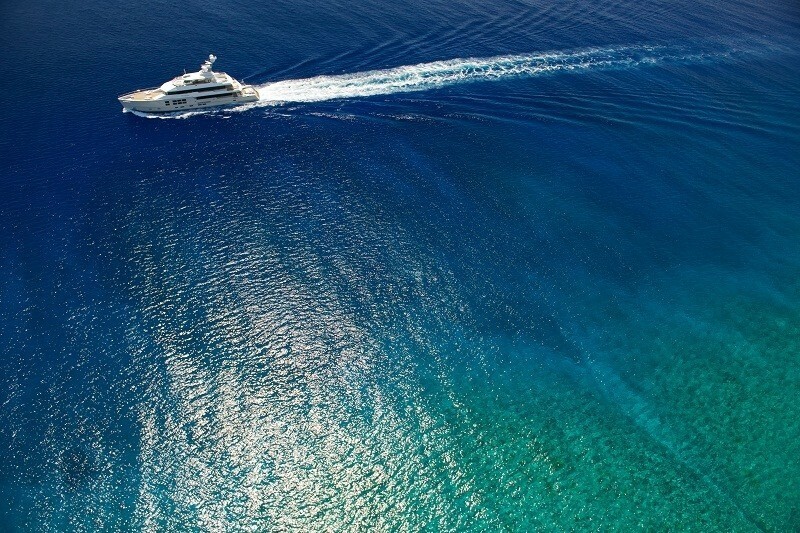 Iridium : Voice. 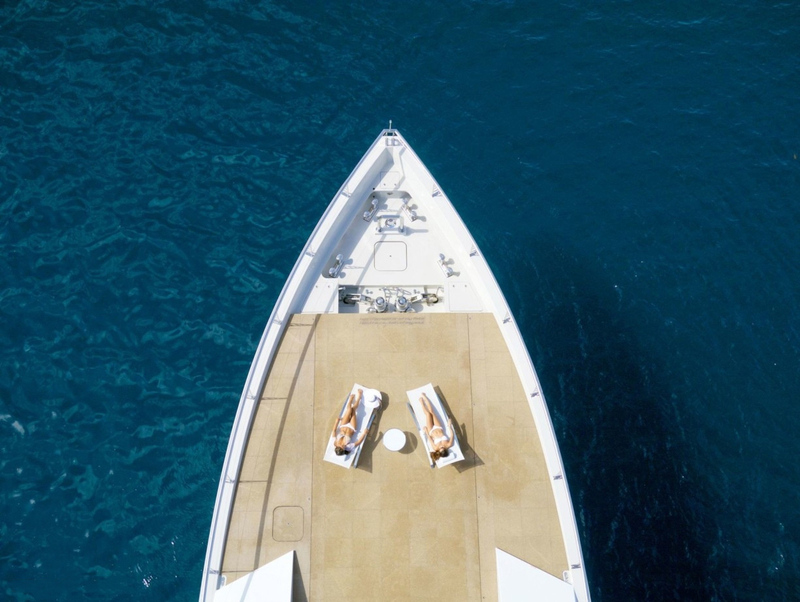 SatC: Back up messaging and automatic position system. 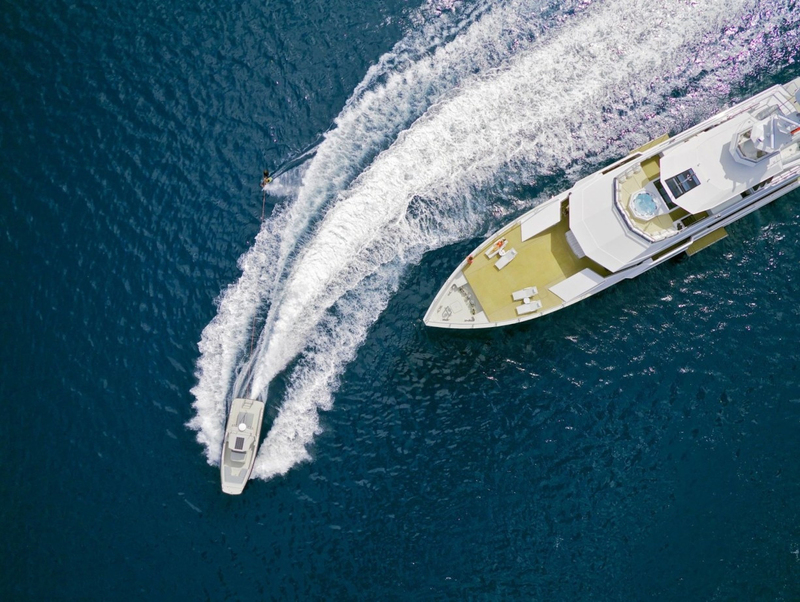 GMDSS: The yacht is compliant with this requirement by which integrates all of the communication devices on board so that they are capable of sending automatic position and distress messages simultaneously and automatically. 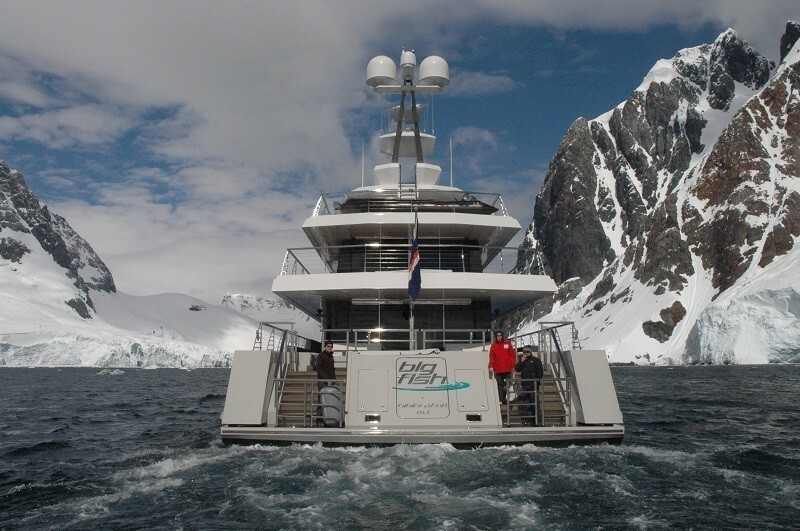 Security: A Pelco CCTV system using 6 pan, tilt and zoom cameras is fitted. 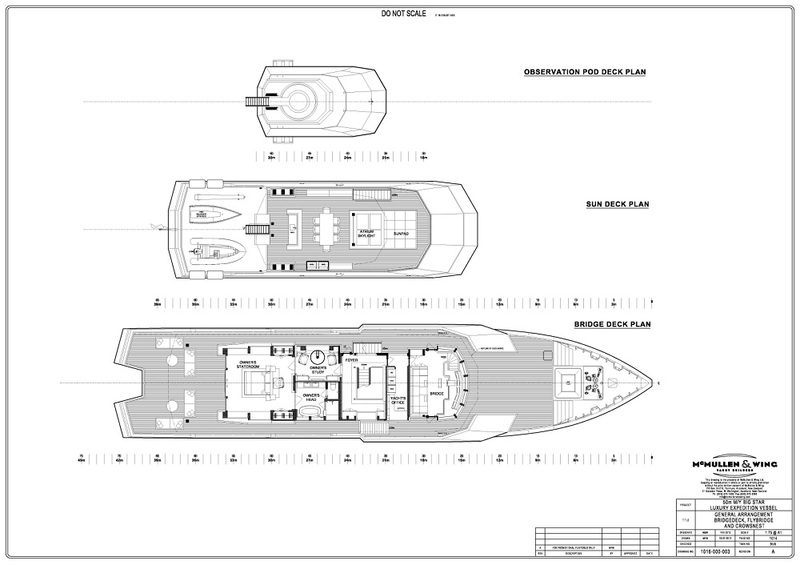 Pressure and infra red sensors are also part of this system. 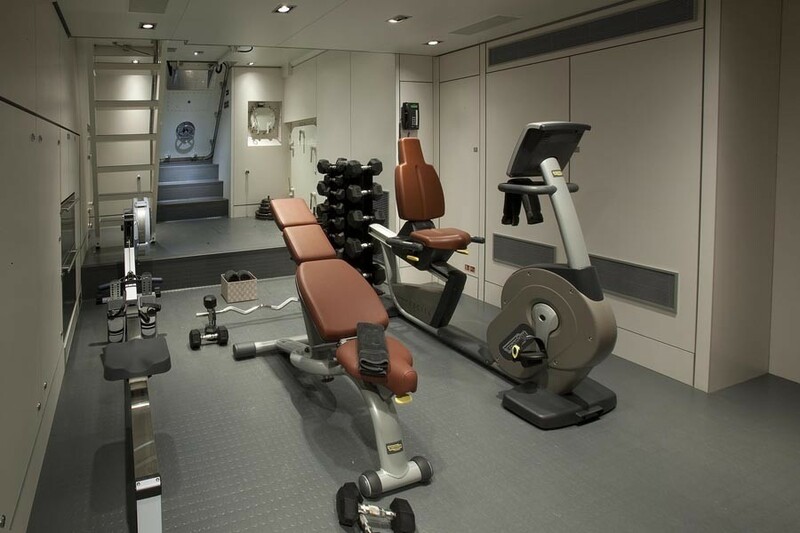 Display: All of the devices on board can be displayed on any of five V.E.I. 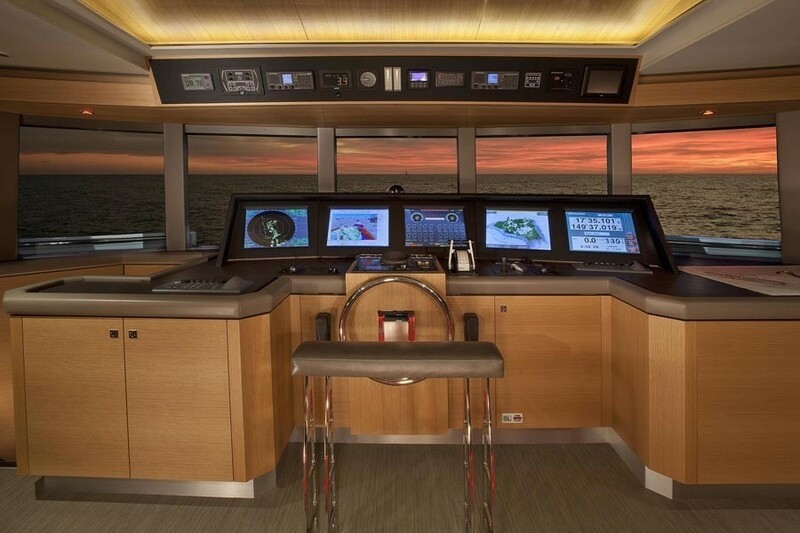 (US) 21 inch flat screens located in the pilothouse dash board. 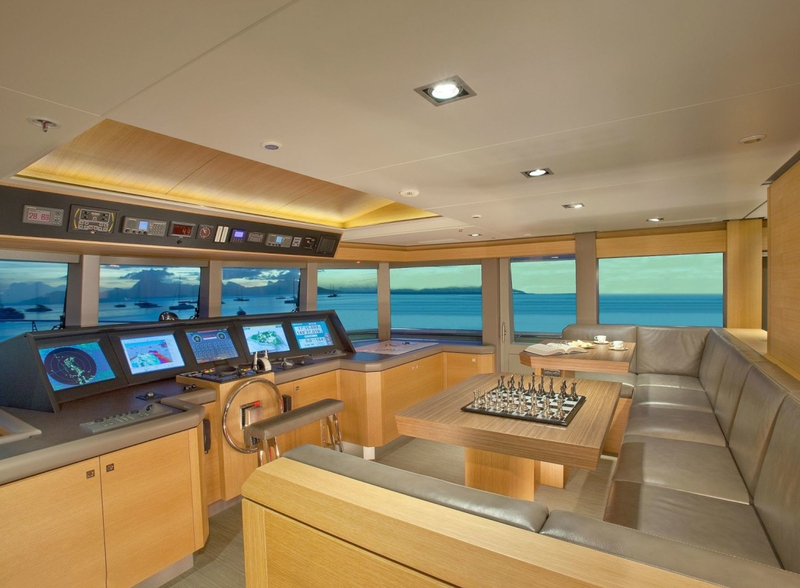 Audio Visual Equipment and Deck Facilities very comprehensive audio video system is supplied and installed by Audio Video Concepts and Design. 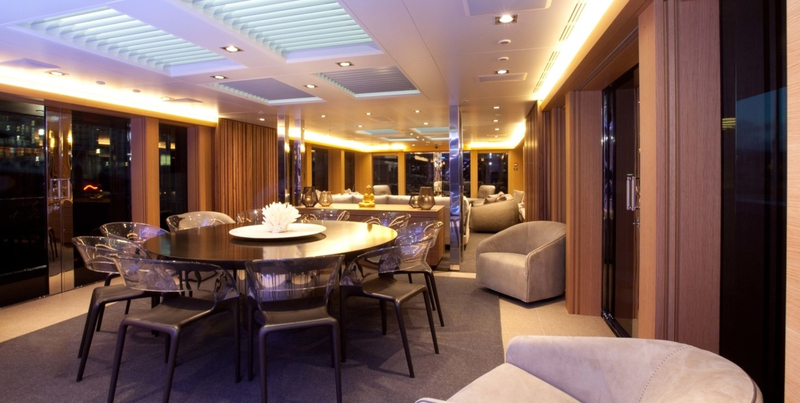 This Kaleidescape system distributes audio and video signals throughout the yacht from central hard drives which are capable of storing 1200 films and thousands of music CD's. 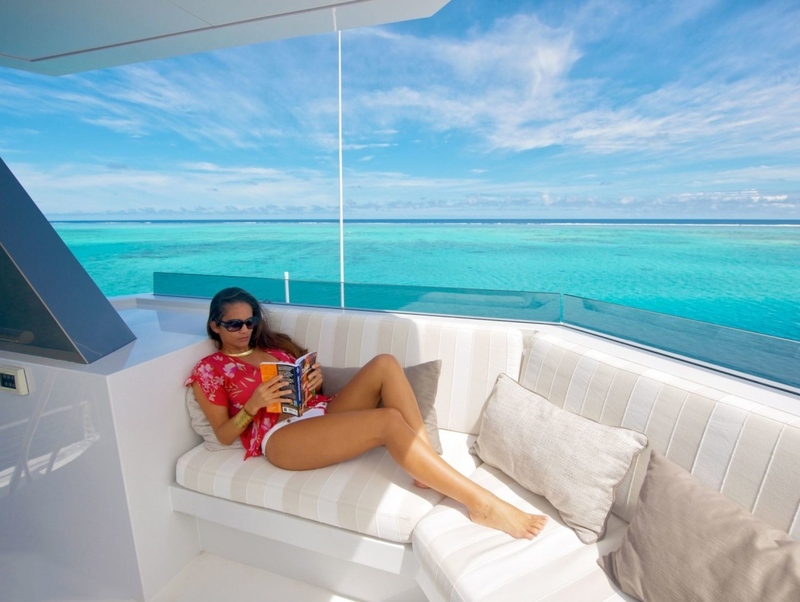 Satellite TV signals will be received world wide.